GRIETJE SWAAB was born 20 March 1839 in Amsterdam, Holland, and died 23 March 1924 in Amsterdam, Holland. She married MARCUS SLUIS 31 October 1860 in Amsterdam, Holland, son of SAMUEL SLUIS and MIETJE THEEBOOM. He was born 15 September 1833 in Amsterdam, Holland, and died 20 January 1905 in Amsterdam, Holland. How are you related to Grietje Swaab? 1. ALIDA SLUIS, b. 13 March 1863, Amsterdam, Holland; d. 26 March 1943, Sobibor death camp, Poland - Holocaust victim. 2. SAMUEL SLUIS, b. 09 September 1864, Amsterdam, Holland; d. 09 April 1943, Sobibor death camp, Poland - Holocaust victim. 3. MIETJE SLUIS, b. 22 April 1866, Amsterdam, Holland; d. 12 July 1938, Amsterdam, Holland. 4. SALOMON LEVIE SLUIS, b. 10 December 1869, Amsterdam, Holland; d. 25 March 1941, Antwerp, Belgium; m. EVA GROENTEMAN, 25 November 1891, Amsterdam, Holland; b. 21 April 1871, Amsterdam, Holland; d. 30 December 1945, Antwerp, Belgium. 5. FEMMETJE SLUIS, b. 01 November 1871, Amsterdam, Holland; d. 20 March 1915, Amsterdam, Holland. 6. CLARA SLUIS, b. 12 December 1872, Amsterdam, Holland; d. 07 August 1939, Amsterdam, Holland. 7. KEETJE SLUIS, b. 25 February 1876, Amsterdam, Holland; d. 22 October 1942, Auschwitz concentration camp, Oswiecim Poland – Holocaust victim. 8. MACHIEL SLUIS, b. 28 August 1877, Amsterdam, Holland; d. 29 October 1942, Auschwitz concentration camp, Oswiecim Poland – Holocaust victim. 9. ELISABETH SLUIS, b. 31 May 1888, Amsterdam, Holland; d. 04 September 1942, Auschwitz concentration camp, Oswiecim Poland – Holocaust victim. ALIDA SLUIS was born 13 March 1863 in Amsterdam, Holland, and died 26 March 1943 in Sobibor death camp, Poland - Holocaust victim. She married JACOB HOEPELMAN 09 October 1885 in Amsterdam, Holland, son of SALOMON HOEPELMAN and KEETJE BAARS. He was born 09 January 1863 in Amsterdam, Holland, and died 26 March 1943 in Sobibor death camp, Poland - Holocaust victim. Resided February 1941: Valckenierstraat 35 I, Amsterdam, Holland. 1. SALOMON HOEPELMAN, b. 26 February 1886, Amsterdam, Holland. 2. GRIETJE HOEPELMAN, b. 20 October 1888, Amsterdam, Holland; m. ISAAC SCHARLEWIE, 18 May 1916, Zaandam, Holland. 3. MARCUS HOEPELMAN, b. 21 March 1890, Amsterdam, Holland; d. 22 October 1942, Auschwitz concentration camp, Oswiecim Poland – Holocaust victim. 4. KEETJE HOEPELMAN, b. 13 April 1892, Amsterdam, Holland; d. 12 December 1893, Amsterdam, Holland. 5. ABRAHAM HOEPELMAN, b. 15 April 1894, Amsterdam, Holland; d. 20 October 1942, Auschwitz III, aka Monowitz concentration camp, Oswiecim Poland – Holocaust victim; m. SOPHIA WOLF, 24 November 1920, Amsterdam, Holland; b. 11 July 1892. Resided: Valckenierstraat 3 III, Amsterdam, Holland. 6. SAMUEL HOEPELMAN, b. 28 June 1896, Amsterdam, Holland; d. 23 April 1943, Sobibor death camp, Poland - Holocaust victim. Samuel Hoepelman was an office clerk, a homosexual and unmarried. He resided with his elderly parents, Jacob Hoepelman (Amsterdam 1863) and Alida Hoepelman-Suis (same) at the Valckenierstraat 35-I. On 26 August 1942 he was arrested by the vice squad on the same day as his friend, Isaäc Walvisch. Van Opijnen reported to the Bureau of Jewish Affaires that Hoepelman 'on several occasions committed a sexual offence with Arian boys and still frequents public conveniences to seduce them for sexual favours'. On this the Bureau (a certain P.K.) determined this Jew was a dangerous homosexual and a 'Volksschädling', a harmful element and must be permanently removed from society. On the day of his arrest, Samuel Hoepelman was handed over to the Sicherheitsdienst. In December 1942 he was sent to camp Westerbork and from there deported to Sobibor on 20 April 1943. There Samual Hoepelman was gassed to death on 23 April, he was 46 years old. A few weeks earlier his parents were murdered in the same camp on 26 March 1943. A sibling of Samuel survived the Holocaust. 7. GERRIT HOEPELMAN, b. 12 November 1898, Amsterdam, Holland; d. 31 January 1943, Auschwitz concentration camp, Oswiecim Poland – Holocaust victim. 8. KEETJE HOEPELMAN, b. 15 June 1901, Amsterdam, Holland. 9. PHILIP HOEPELMAN, b. 01 January 1905, Amsterdam, Holland. 10. EMANUEL HOEPELMAN, b. 16 July 1907, Amsterdam, Holland; d. 10 December 1944, Auschwitz III, aka Monowitz concentration camp, Oswiecim Poland – Holocaust victim. Resided February 1941: Frederiksplein 27 huis, Amsterdam, Holland. Emanuel Hoepelman married in 1938 at Amsterdam. His wife survived the war. 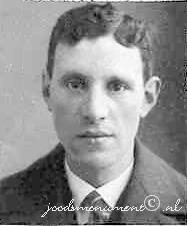 SAMUEL SLUIS was born 09 September 1864 in Amsterdam, Holland, and died 09 April 1943 in Sobibor death camp, Poland - Holocaust victim. He married NEELTJE PRESO, daughter of DANIEL PRESO and DUIFJE PEPER. She was born 10 May 1872 in Amsterdam, Holland, and died 09 April 1943 in Sobibor death camp, Poland - Holocaust victim. Resided with family February 1941: Pieter Aertszstraat 121 I, Amsterdam, Holland. 1. MARCUS SLUIS, m. JULIA SNIJDERS; b. 04 October 1895, Amsterdam, Holland; d. 07 June 1960, Amsterdam, Holland. MIETJE SLUIS was born 22 April 1866 in Amsterdam, Holland, and died 12 July 1938 in Amsterdam, Holland. She married LEVIE REENS 13 April 1887 in Amsterdam, Holland, son of ALEXANDER REENS and SAARTJE WOLFENBUTTEL. He was born 02 March 1866 in Amsterdam, Holland, and died 04 April 1924 in Amsterdam, Holland. 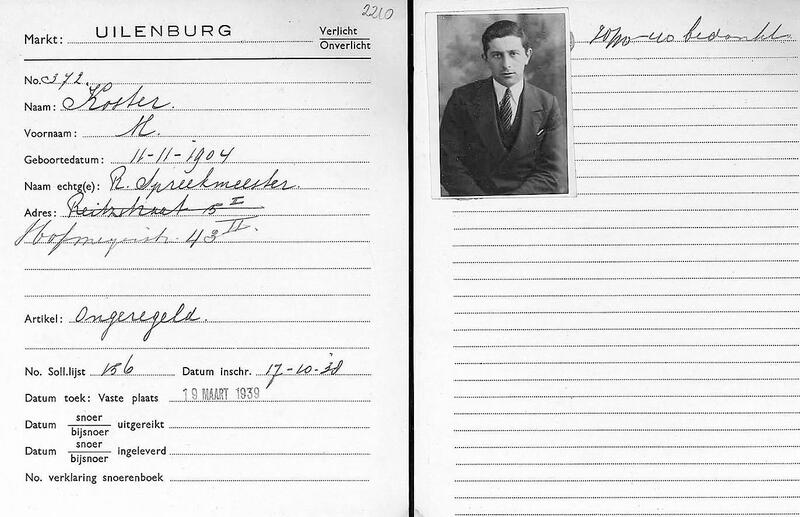 Burial: 15 July 1938, Diemen jewish cemetery, Amsterdam, Holland. Occupation: Cigar maker, diamond adjuster. In 1907, the Ashkenazi community needed to provide more burial grounds, as after two centuries of intensive use Zeeburg Cemetery became full. In 1914, Diemen Cemetery was opened but before very long the land was reallocated. In 1925, the Amsterdam municipality acquired some of the land by compulsory purchase in order to build a railway viaduct, whereby the cemetery was split down the middle. When part of the Zeeburg Cenetery was sold in 1956, no fewer than 28,000 graves were transferred to Diemen. A large gravestone in the middle of Zeeburg cemetery reads in Hebrew; 'May this resting place in future remain undisturbed'. About 400 funerary urns from the Dutch concentration camp at Westerbork have been placed in Diemen. Between the years 1943-1945 under pressure of circumstances, about 529 Jews were cremated in Westerbork camp. Both during and after the war the urns containing their ashes were returned to their home towns and cities. 1. ALEXANDER REENS, b. 11 June 1887, Amsterdam, Holland; d. 08 October 1942, Auschwitz concentration camp, Oswiecim Poland – Holocaust victim. 2. MARCUS REENS, b. 30 August 1889, Amsterdam, Holland; d. 07 May 1943, Sobibor death camp, Poland - Holocaust victim. 3. SARA REENS, b. 01 March 1892, Amsterdam, Holland; d. 15 October 1942, Auschwitz concentration camp, Oswiecim Poland – Holocaust victim. 4. GRIETJE REENS, b. 08 May 1893, Amsterdam, Holland; d. 30 September 1893, Amsterdam, Holland. 5. ROZETTA REENS, b. 02 November 1894, Amsterdam, Holland; d. 17 September 1942, Auschwitz concentration camp, Poland - Holocaust victim. 6. GABRIEL REENS, b. 08 January 1898, Amsterdam, Holland; d. 02 September 1898, Amsterdam, Holland. 7. PHILIP REENS, b. 27 January 1900, Amsterdam, Holland; d. 31 March 1944, Midden-Europa - Holocaust victim. 8. JOSEPH REENS, b. 11 May 1903, Amsterdam, Holland; d. 13 January 1987, Amsterdam, Holland. 9. SAMUEL REENS, b. 17 February 1896, Amsterdam, Holland; d. 31 March 1944, Central Europe, Municipality unknown - Holocaust victim. FEMMETJE SLUIS was born 01 November 1871 in Amsterdam, Holland, and died 20 March 1915 in Amsterdam, Holland. She married JUDA KOSTER 29 July 1896 in Amsterdam, Holland, son of GERRIT KOSTER and SCHOONTJE METZELAAR. He was born 11 December 1870 in Amsterdam, Holland. 1. MARCUS KOSTER, b. 11 November 1904, Amsterdam, Holland; d. 22 September 1942, Auschwitz concentration camp, Poland - Holocaust victim. CLARA SLUIS was born 12 December 1872 in Amsterdam, Holland, and died 07 August 1939 in Amsterdam, Holland. She married (1) HARTOG VAN DER KAR 29 August 1894. He was born 1874 in Amsterdam, Holland, and died in Amsterdam, Holland. She married (2) ISAAC SLAP 18 May 1899 in Amsterdam, Holland, son of HIJMAN SLAP and REBECCA SNOEK. He was born 23 October 1873 in Amsterdam, Holland, and died 04 June 1943 in Sobibor death camp, Poland - Holocaust victim. Isaäc Slap lived with his daughter Rebecca. 1. GRIETJE VAN DER KAR, b. 11 November 1895, Amsterdam, Holland; m. MEIJER LEVER, 11 November 1915, Amsterdam, Holland; b. 30 December 1893, Amsterdam, Holland. 1. HIJMAN SLAP, b. 01 November 1899, Amsterdam, Holland; d. 03 April 1996, Antwerp, Belgium. 2. MARCUS SLAP, b. 12 October 1900, Amsterdam, Holland; d. 30 December 1970, Antwerp, Belgium; m. ROSA FREDERIKA EMANUEL; b. 22 April 1908, Amsterdam, Holland; d. 01 May 1994, Antwerp, Belgium. 3. ISRAEL SLAP, b. 12 June 1902, Amsterdam, Holland; d. 26 January 1983, Antwerp, Belgium. 4. SAMUEL SLAP, b. 30 January 1904, Amsterdam, Holland; d. 01 July 1974, Vlaams Gewest, Belgium. 5. ASSER SLAP, b. 03 October 1905, Amsterdam, Holland; d. 20 January 1906, Amsterdam, Holland. 6. REBECCA SLAP, b. 13 May 1913, Amsterdam, Holland; d. 04 June 1943, Sobibor death camp, Poland - Holocaust victim. KEETJE SLUIS was born 25 February 1876 in Amsterdam, Holland, and died 22 October 1942 in Auschwitz concentration camp, Oswiecim Poland – Holocaust victim. She married BEREND LEVIE 03 March 1915 in Amsterdam, Holland, son of IZAAK LEVIE and JUTHRA SCHOONHOED. He was born 22 July 1883 in Rheden, Holland, and died 15 October 1942 in Auschwitz concentration camp, Oswiecim Poland – Holocaust victim. Resided: Overhagenscheweg 57, Velp, Rheden, Holland. 1. MAX IZAAK LEVIE was born 26 February 1916 in Rheden, Holland, and died 28 February 1943 in Auschwitz concentration camp, Oswiecim Poland – Holocaust victim. He married MARIE VAN LEEUWEN, daughter of LEVI VAN LEEUWEN and MINA DE VRIES. 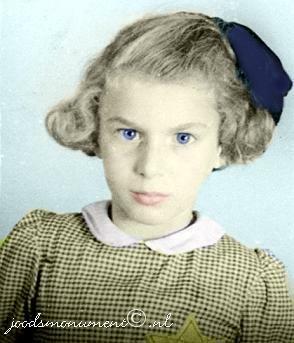 She was born 20 September 1910 in Oss, Holland, and died 07 December 1942 in Auschwitz concentration camp, Oswiecim Poland – Holocaust victim. Parents of Marie van Leeuwen were LEVI VAN LEEUWEN born 21 November 1878 in The city of Grave, Holland, and died 16 April 1943 in Sobibor death camp, Poland - Holocaust victim. He married MINA DE VRIES 08 November 1904 in Uden, Holland. 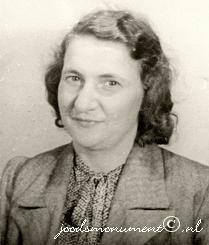 She was born 09 February 1881 in Uden, Holland, and died 16 April 1943 in Sobibor death camp, Poland - Holocaust victim. MACHIEL SLUIS was born 28 August 1877 in Amsterdam, Holland, and died 29 October 1942 in Auschwitz concentration camp, Oswiecim Poland – Holocaust victim. He married ESTHER STURKOP 04 May 1905 in Amsterdam, Holland, daughter of ISAAC STURKOP and MARIA HONT. She was born 04 May 1881 in Amsterdam, Holland, and died 29 October 1942 in Auschwitz concentration camp, Oswiecim Poland – Holocaust victim. Resided at: Bosschestraat 98, Scheveningen, Holland. 1. MARGARETHA SLUIS, b. 30 November 1905, Amsterdam, Holland; d. 18 January 1992, Vlaams Gewest, Antwerp, Belgium. ELISABETH SLUIS was born 31 May 1888 in Amsterdam, Holland, and died 04 September 1942 in Auschwitz concentration camp, Oswiecim Poland – Holocaust victim. She married ELIAS VAN ZORG, son of JONAS VAN ZORG and GOUDA DEGEN. He was born 23 May 1889 in Amsterdam, Holland, and died 04 September 1942 in Auschwitz concentration camp, Oswiecim Poland – Holocaust victim. Parents of Elias van Zorg were JONAS VAN ZORG born 25 November 1863 in Amsterdam, Holland, and died 04 September 1942 in Auschwitz concentration camp, Oswiecim Poland – Holocaust victim. He married GOUDA DEGEN 20 March 1889 in Amsterdam, Holland. She was born 24 May 1861 in Amsterdam, Holland, and died 06 February 1941 in Borgerhout, Belgian. 1. GOUDA VAN ZORG, b. 10 December 1912, Amsterdam, Holland; d. 04 September 1942, Auschwitz concentration camp, Oswiecim Poland – Holocaust victim. 2. MARCUS VAN ZORG, b. 25 September 1914, Amsterdam, Holland; d. 31 August 1943, Central Europe, Municipality unknown - Holocaust victim. Resided: Christiaan Bruningsstraat 12, Den Haag, Holland. MARCUS HOEPELMAN was born 21 March 1890 in Amsterdam, Holland, and died 22 October 1942 in Auschwitz concentration camp, Oswiecim Poland – Holocaust victim. He married ANNAATJE COZIJN 11 May 1922 in Amsterdam, Holland, daughter of DAVID COZIJN and ESTHER BOKKE. She was born 06 November 1890. Parents of ANNAATJE COZIJN were DAVID COZIJN born 10 February 1859 in Amsterdam, Holland, and died 11 December 1942 in Auschwitz concentration camp, Oswiecim Poland – Holocaust victim. He married ESTHER VAN DER BOKKE 02 June 1886 in Amsterdam, Holland. She was born 20 August 1864 in Amsterdam, Holland, and died 14 February 1930 in Amsterdam, Holland. Resided 1941: Municipal care for elderly, Roetersstraat 2, Amsterdam, Holland. Resided, February 1941: Tolstraat 53 III, Amsterdam, Holland. Resided at: Snoekjesgracht 9, Amsterdam, Holland. GERRIT HOEPELMAN was born 12 November 1898 in Amsterdam, Holland, and died 31 January 1943 in Auschwitz concentration camp, Oswiecim Poland – Holocaust victim. He married DEBORA COZIJN 10 October 1926 in Amsterdam, Holland, daughter of DAVID COZIJN and ESTHER BOKKE. She was born 21 December 1899 in Amsterdam, Holland, and died 12 October 1942 in Auschwitz concentration camp, Oswiecim Poland – Holocaust victim. Resided with family February 1941: Roetersstraat 2 b - II, Amsterdam, Holland. Parents of Debora Cozijn were DAVID COZIJN born 10 February 1859 in Amsterdam, Holland, and died 11 December 1942 in Auschwitz concentration camp, Oswiecim Poland – Holocaust victim. He married ESTHER VAN DER BOKKE 02 June 1886 in Amsterdam, Holland. She was born 20 August 1864 in Amsterdam, Holland, and died 14 February 1930 in Amsterdam, Holland. Resided 1941: Municipal care for elderly, Roetersstraat 2, Amsterdam, Holland..
1. ALIDA HOEPELMAN, b. 28 August 1929, Amsterdam, Holland; d. 12 October 1942, Auschwitz concentration camp, Oswiecim Poland – Holocaust victim. ALEXANDER REENS was born 11 June 1887 in Amsterdam, Holland, and died 08 October 1942 in Auschwitz concentration camp, Oswiecim Poland – Holocaust victim. He married MARTHA VOGEL 25 June 1913 in Amsterdam, Holland, daughter of RAPHAEL VOGEL and BRANCA ROMIJN. She was born 05 September 1885 in Amsterdam, Holland, and died 08 October 1942 in Auschwitz concentration camp, Oswiecim Poland – Holocaust victim. Resided, February 1941: Tweede Jan Steenstraat 27 II, Amsterdam, Holland. Alexander Reens and his family, Amsterdam. 1. LEOPOLD REENS, b. 25 May 1914, Amsterdam, Holland; d. December 1942, Monowitz-Buna Auschwitz III, concentration camp, Oswiecim Poland – Holocaust victim; m. JOHANNA TAILLEUR. Resided February 1941: Winterdijkstraat 32 huis, Amsterdam, Holland. Monowitz (also called Monowitz-Buna or Auschwitz III), initially established as a subcamp of Nazi Germany's Auschwitz concentration camp, was one of the three main camps in the Auschwitz concentration camp system, with an additional 45 subcamps in the surrounding area. It was named after the town of Monowice (German, Monowitz) upon which it was built which was located in the annexed portion of Poland. The camp was established in October 1942 by the SS at the behest of I.G. Farben executives to provide slave labor for their Buna-Werke (Buna Works) industrial complex. The name Buna was derived from the butadiene-based synthetic rubber and the chemical symbol for sodium Na, a process of synthetic rubber production developed in Germany. Various other German industrial enterprises built factories with their own subcamps, such as Siemens-Schuckert's Bobrek subcamp, close to Monowitz in order to profit from the use of slave labor. The German armanents manufacturer Krupp headed by SS member Alfried Krupp also built their own manufacturing facilities near Monowitz. 2. BETTY REENS, b. 21 April 1921, Amsterdam, Holland; d. 30 September 1942, Auschwitz concentration camp, Oswiecim Poland – Holocaust victim. MARCUS REENS was born 30 August 1889 in Amsterdam, Holland, and died 07 May 1943 in Sobibor death camp, Poland - Holocaust victim. He married HEINTJE NORD 21 June 1911 in Zaandam, Holland, daughter of JACOB NORD and KLARA SCHRAAL. She was born 14 January 1891 in Amsterdam, Holland, and died 07 May 1943 in Sobibor death camp, Poland - Holocaust victim. Resided February 1941: Linnaeusstraat 79 huis, Amsterdam, Holland. According to a list with shops of Jewish owners, compiled by the Amsterdam police in 1940, this family had a café, address: Linnaeusstraat 79 in Amsterdam, Holland. 1. KLARA HELENA REENS, b. 08 January 1928, Amsterdam, Holland; d. 20 February 1928, Amsterdam, Holland. SARA REENS was born 01 March 1892 in Amsterdam, Holland, and died 15 October 1942 in Auschwitz concentration camp, Oswiecim Poland – Holocaust victim. She married MACHIEL REENS 30 November 1911 in Amsterdam, Holland, son of LEVIE REENS and RACHEL KOSMAN. He was born 13 July 1886 in Amsterdam, Holland, and died 15 October 1942 in Auschwitz concentration camp, Oswiecim Poland – Holocaust victim. Resided April 1942: Nieuwe Binnenweg 145, Rotterdam, Holland. Although Sara Reens and Machiel Reens shared the same surname, they were not closely related. Parents of Machiel Reens were LEVIE REENS born 18 June 1859 in Amsterdam, Holland, and died 10 October 1940 in Amsterdam, Holland. He married RACHEL KOSMAN 01 December 1880 in Amsterdam, Holland. She was born 03 May 1859 in Amsterdam, Holland, and died 24 January 1942 in Amsterdam, Holland. 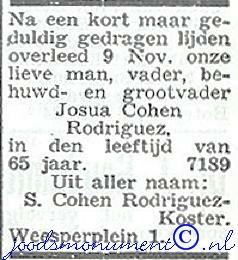 In January 1942, an obituary was placed in Het Joodsche Weekblad for Rachel Reens-Cosman. Het Joodsche Weekblad, 30 January 1942 and an expression of thanks of the Reens family. Resided with family, 1940: Jodenbreestraat 61 II, Amsterdam, Holland. Resided, 1941: Nursing home for the elderly, Valeriusstraat 24, Amsterdam, Holland. This nursing home for the elderly was in the hands of the Den Hartog family living on the same address. 1. MARIANNE REENS, b. 10 May 1913, Rotterdam, Holland; d. 30 September 1942, Auschwitz concentration camp, Oswiecim Poland – Holocaust victim. 2. LOUIS REENS, b. 10 May 1913, Rotterdam, Holland; d. 30 September 1942, Auschwitz concentration camp, Oswiecim Poland – Holocaust victim. 3. RACHEL REENS, b. 30 December 1914, Rotterdam, Holland; d. 23 April 1943, Sobibor death camp, Poland - Holocaust victim. 4. ALEXANDER REENS, b. 07 January 1923, Rotterdam, Holland; d. 30 September 1942, Auschwitz concentration camp, Oswiecim Poland – Holocaust victim. 5. MARGARETHA REENS, b. 15 November 1926, Rotterdam, Holland; d. 15 October 1942, Auschwitz concentration camp, Oswiecim Poland – Holocaust victim. 6. PHILIP REENS, b. 20 March 1929, Rotterdam, Holland; d. 15 October 1942, Auschwitz concentration camp, Oswiecim Poland – Holocaust victim. ROZETTA REENS was born 02 November 1894 in Amsterdam, Holland, and died 17 September 1942 in Auschwitz concentration camp, Poland - Holocaust victim. She married JACOB VAN DAL 12 June 1919 in Amsterdam, Holland, son of SAMUEL VAN DAL and VROUWTJE VAN STAVEREN. He was born 20 December 1891 in Amsterdam, Holland, and died 28 October 1942 in Extern commando concentration camp, Sachsenhausen - Oranienburg, Germany – Holocaust victim. Resided with family February 1941: Ceintuurbaan 169 huis, Amsterdam, Holland. Belonging to: Jacob van Dal and his family, Amsterdam, Holland. Room: ladies' clothing and underwear. 1.FLORA VAN DAL, b. 20 November 1921, Amsterdam, Holland; d. 30 September 1942, Auschwitz concentration camp, Poland - Holocaust victim. 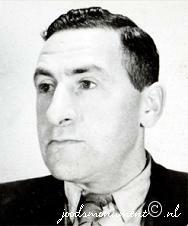 PHILIP REENS was born 27 January 1900 in Amsterdam, Holland, and died 31 March 1944 in Midden-Europa - Holocaust victim. He married SARA TEEBOOM, daughter of ABRAHAM TEEBOOM and HESTER KNAP. She was born 06 July 1901 in Rotterdam, Holland, and died 09 November 1942 in Auschwitz concentration camp, Oswiecim Poland – Holocaust victim. Parents of Sara Teeboom Were ABRAHAM TEEBOOM born 14 January 1863 in Amsterdam, Holland, and died 03 August 1938 in Rotterdam, Holland. He married HESTER KNAP 16 December 1896 in Rotterdam, Holland. She was born 22 December 1871 in Rotterdam, Holland, and died 15 October 1942 in Auschwitz concentration camp, Oswiecim Poland – Holocaust victim. Hester Knap was the daughter of Levie Knap and Sara Bloemkooper. Barend Hartog Knap was her brother. Hester Knap was married and had one child. Resided with family April 1942: Straatweg 68 a, Hillegersberg, Holland. Philip Reens and Sara Teeboom had a florist's shop at the Straatweg. The Jokos file reveals that a claim was lodged for compensation for valuables surrendered to the Lippmann-Rosenthal looting bank (L-claim, number 1892/14741). 1. MARIANNE REENS, b. 09 November 1934, Amsterdam, Holland; d. 09 November 1942, Auschwitz concentration camp, Oswiecim Poland – Holocaust victim. 2. HETTY LOUISE REENS, b. 02 August 1936, Amsterdam, Holland; d. 09 November 1942, Auschwitz concentration camp, Oswiecim Poland – Holocaust victim. Hetty visited the Princess Juliana school at the Princess Margrietlaan. SAMUEL REENS was born 17 February 1896 in Amsterdam, Holland, and died 31 March 1944 in Central Europe, Municipality unknown - Holocaust victim. He married RIKA REENS 12 June 1919 in Amsterdam, Holland, daughter of LEVIE REENS and RACHEL KOSMAN. She was born 12 October 1891 in Amsterdam, Holland, and died 09 November 1942 in Auschwitz concentration camp, Poland - Holocaust victim. Resided April 1942: Noordsingel 58 b, Rotterdam, Holland. 1. LOUIS REENS, b. 02 June 1920, Amsterdam, Holland; d. 22 September 1941, Mauthausen-Gusen Concentration Camp, Mauthausen, Austria - Holocaust victim; m. GRIETZE SPEIJER; b. 21 February 1899, London, England; d. 11 June 1943, Sobibor death camp, Poland - Holocaust victim. JOSEPH REENS was born 11 May 1903 in Amsterdam, Holland, and died 13 January 1987 in Amsterdam, Holland. He married (1) ADEL GOSLER 09 July 1933 in London, England. She was born 10 July 1903 in London, England, and died 23 March 1945 in Bergen-Belsen concentration camp, Germany - Holocaust victim. He married (2) KLAARTJE (CLAIRE) DE JONG 18 September 1946 in Rotterdam, Holland, daughter of MOZES DE JONG and REBEKKA BLOK. She was born 17 May 1908 in Den Helder, Holland, and died 10 September 1987 in Zeist, Holland. Resided with family, April 1942: De Savornin Lohmanlaan 98 b, Rotterdam, Holland. Joseph Reens was sent to the Bergen-Belsen concentration camp in Germany on January 12, 1944. He survived and was liberated by the Americans in 1945. 1. MYRNA REENS, m. MAYER (MATTY) TUGENDHAFT; b. 20 November 1937, Maastricht, Limburg, Holland. Parents of Klaartje (Claire) De Jong were MOZES DE JONG born 24 July 1875 in Den Helder, Holland, and died 04 June 1943 in Sobibor death camp, Poland - Holocaust victim. He married REBEKKA BLOK 28 December 1905 in Den Helder, Holland. She was born 01 April 1880 in Leerdam, Holland, and died 04 June 1943 in Sobibor death camp, Poland - Holocaust victim. Resided with wife, March 1942: Leeuwerikkade 7, Alkmaar, Holland. Resided with wife, April 1942: Keizerstraat 90, Den Helder, Holland. Resident: armchair (6), table (3), flower table, basket, toilet chair, armchair (3), kapok mattress, wooden bedstead, spring mattress, flight of stairs, chair (8), carpet, sofa cover, runner, book (2), bedstead with mattress, luggage with linen, counterpane (2), woollen blankets (2), tablecloth, face curtain (13), cushion (4), runner, foot mat (7), carpet, sideboard (2), armchair, bedside table, vacuum cleaner, cane mat (3), cane mat (rolls) (3), standing clock, painting (2), table lamp, standing lamp, smoking materials, armchair, flower table (2), newspaper holder, paraffin stove, gas cooker, table lamp, reading lamp, electric cooker, amount of kitchenware, wall rack for plates, mirror (2), wall plate (5), glass plate, stand, ironing board, chest with glassware, china and ceramics (10), chest with clothing, hanging lamp. As WWII came to an end, attempts were made to evacuate concentration camps before Allied troops arrived. Three trains were sent from Bergen-Belsen on April 10, 1945, intended for Theresienstadt. One train got as far as Farsleben, near Magdeburg when US troops freed the prisoners on April 13, 1945. It is estimated that about 2,500 prisoners were aboard this train when it started out on its fateful journey from Bergen-Belsen on April 10, 1945. An article written in 2008 by Frank W. Towers of the 30th Infantry Division gives a very personal overview of the encounter with this train. The Farsleben Medical Detachment account provides another perspective. Wayne Robinson, Move out Verify: the Combat Story of the 743rd Tank Battalion (Germany, no publisher, 1945), wrote, pp. 162-63: "This had been - and was - a horror train. In these freight cars had been shipped 2500 people, jam-packed in like sardines, and they were people that had two things in common, one with the other: They were prisoners of the German State and they were Jews. These 2,500 wretched people, starved, beaten, ill, some dying, were political prisoners who had until a few days before been held at a concentration camp near Hanover. When the Allied armies smashed through beyond the Rhine and began slicing into central Germany, the tragic 2,500 had been loaded into old railroad cars-as many as 68 in one filthy boxcar - and brought in a torturous journey to this railroad siding by the Elbe. They were to be taken still deeper into Germany beyond the Elbe when German trainmen got into an argument about the route and the cars had been shunted onto the siding. Here the tide of the Ninth Army's rush had found them. The Jewsh prisoners found it hard to believe they were in friendly hands once more: they were fearful that the Germans would return. They had been guarded by a large force of SS troopers, most of whom had disappeared in the night. Major Benjamin, knowing there were many German Army stragglers still in the area...."
Mr. Towers wrote: "In between Brunswick and Magdeburg was the city of Hillersleben, where there was a large German Luftwaffe airbase with many two-story barracks buildings for the Nazi German personnel who had recently been evicted by the 30th Infantry Division during the capturing of Hillersleben. At this point, a small task force, led by the 743rd Tank Battalion, with infantrymen of the 119th Regiment, was mounted on these tanks. As they were forging ahead towards Magdeburg, they entered the small town of Farsleben, about 10 km north of Magdeburg, with the mission of clearing out all of the German soldiers who may be waiting there for us and may have set up an ambush. Only very recently, I learned that a Mr. George C. Gross, and a Mr. Caroll Walsh were the two tank commanders involved in this task force which found and liberated this train. Upon entering and capturing the village, no German soldiers were found who may have been intent on setting up an ambush when we appeared, however, the lead elements of the 743rd Recon discovered a long freight train on the railroad track, which had been guarded by several Nazi guards. The engine was standing ready with a full head of steam and awaiting orders as to where to go. The guards and the train crew fled the scene as soon as they realized that they were well outnumbered, although they were rounded up in a short time. As the train was sitting idly by, while the train crew was awaiting orders and making a decision as to where to go, many of the occupants of some of the passenger cars had dismounted and were relaxing on the ground near the train. This train, which contained about 2,500 Jews, had a few days previously left the Bergen-Belsen death camp. Men, women and children were all loaded into a few available railway cars, some passenger and some freight, but mostly the typical antiquated freight cars, termed as "40 and 8" a WWI terminology. This signified that these cars would accommodate 40 men or 8 horses. They were crammed into all available space and the freight cars were packed with about 60-70 of the Jewish Holocaust victims, with standing room only for most of them, so that they were packed in like sardines. Some of these prisoners had dismounted from the passenger cars and were milling about near the train and relaxing as best they could, under the watchful eyes of their Nazi guards. Those in the freight cars were still locked in the cars when discovered, but shortly they were released. The men of the 743rd Tank Battalion and the 119th Regiment, who discovered this train, could not believe what they were seeing, nor what they had upon their hands at this moment. Upon speaking to some of those victims, a few of whom could speak only a little English, they began to learn what they had uncovered. They immediately unlocked all of the freight cars and allowed these pathetic victims to be released and dismount from the cars and enjoy their first taste of freedom. Many were hesitant at first because they had been advised by their Nazi guards that 'if and when they ever became prisoners of the Americans, they would be executed immediately.' Little did they know what to expect at the hands of these assumed savage Americans." Mimex has its origin at Amsterdam Airport Schiphol. In 1974, Matty Tugendhaft and his wife Myrna took over a Tax Free Shop at the airport and renamed it M&M Men's Shop. This name did not quite cover it though, because in addition to menswear, the assortment consisted of gifts, leather goods, pewter tableware and games. Various other product groups were added over the years, and ultimately Leather & Travel, Holland Souvenirs, toys, sports and Holland gifts products were sold at 26 sales points at Amsterdam Airport Schiphol. 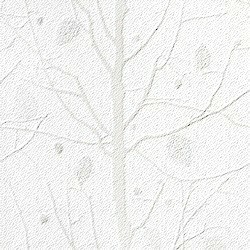 There were also branches at the airports of Singapore, Dusseldorf and Frankfurt. Due to the international character of the Airport shops and the high level of these shops, Burberry, Bally, Porceleyne Fles, Makkum, Barbie, Miffy, Nike, Adidas and Swarovski were among the brands sold. After the change of the millennium, the Mimex Group turned itself to a number of takeovers, including Elesva and IBTT, while in 2007 Mimex Brands & Labels was launched. In 2008, all activities at Schiphol (Mimex Airport Retailers) were sold and Mimex Brands & Labels continued independently. Even before he has said a word, who ever meets “MATTIE”, MAYER TUGENDHAFT for the first time is won over by his broad smile and the human warmth he emanates in an almost palpable way. The man is nice, sensitive and humorous, with eyes sparkling with intelligence. Starting out from nothing, he has become a very big businessman, who through his hard work has gone from one success to another. Meeting him, no one can imagine that he suffered martyrdom as a child. One of the special features of the Holocaust in Holland, in which about 80% of the Jewish population living in that country were murdered, was the phenomenon of the children who had been hidden. According to some sources, the Dutch resistance managed to hide between 15,000 and 16,500 people. In fact about 24,000 managed to hide, but about 9,000 were handed over to the SS by Dutch collaborators. It is certainly true that the people who hid these children ran enormous risks, and some even paid with their lives. Today, the survivors who were hidden are starting to tell their story. As everywhere, in some cases things went well, while in others, children were gradually guided towards Christianity, and there were also children who were exploited and maltreated. A large number of these children never saw their parents again, yet others, like Mattie, after many and terrible adventures, had the privilege of being reunited with their families. While we cannot generalise from a single example, we have decided to tell the story of Mattie, which in our opinion is particularly significant. Mattie was born on November 20, 1937 in Maastricht. His father, a Jew of Polish origin, had lived for years in Düsseldorf. On account of the economic crisis and Hitler’s rise to power in Germany, the situation became untenable for the Tugendhaft family and in 1934 Isaac (Fritz) Tugendhaft left for Holland, where he met the daughter of the Rabbi of Maastricht, Frieda, with whom he fell hopelessly in love. They were married in 1936 and two children were born to them, Mayer in 1937 and Trinette in 1939. Since Isaac spoke German fluently, he acted as an interpreter between the Jewish community and the Germans. Gradually the danger increased, so much that at one point the Tugendhaft parents had to tell their children, then aged 5 and 3, that they would have to leave their home and change their name. That is how Mayer became Mattie Gevers. With the help of courageous people, including a catholic priest, the Tugendhaft children were hidden in Belgium while their parents were able to go into hiding in Maastricht itself. Mattie was moved from place to place and at one point was even in a sort of convent, but with Easter approaching he risked being discovered. Thus he lived one after another in Sittard, Hoensbroek and Heerlen, finally ending up in 1943 at a farmer in Limburg, in the Leudal region. The family had three children who were older than Mattie and lived on a large, old farm where they raised cattle and horses. Very quickly Mattie became responsible for taking the horses out to the pastures. However, what appeared to be a bucolic story very quickly became a nightmare. Every morning, once the family had left for the fields to milk the cows, the farmer got Mattie out of bed and tortured him in all sorts of ways, maltreating him extremely sadistically. First, he hung him by a rope until he was suffocating, let go and then restarted the treatment several times in a row. On days that were particularly cold he made him run naked in the yard, on other days he through him into an irrigation ditch. One day when Mattie broke a leg he was not allowed to see a doctor and was made to take the horses out to pasture. Since he walked badly, he tripped onto a pitchfork. One day when his ear became infected, the farmer simply cut off the infected part with a bread knife, thus taking off half the ear. It was only much later through plastic surgery that Mattie was able to get his ear back. From time to time the farmer’s children protested what their father was doing, but he terrified his family. When Mattie saw the farmer coming he tried to hide, but he knew very well that the next morning he would have to pay for having run away. The priest who had brought Mattie to this farmer came to see him from time to time, but the master of the place never left Mattie alone with the man of the church. When he expressed concern about the boy’s ear, the farmer told him that “the doctor had badly treated his ear”. One day, the farmer’s wife came home earlier than usual from the fields and found little Mattie hanging at the end of the kitchen and had already turned completely blue. She made an enormous fuss, and from that day on never let him out of her sight. A bit later, the priest came for him to place him with a family in Klimmen. On the way, he was able to see his parents very briefly, and there he went through another drama. When he told what had happened to him and of the maltreatment to which he had been subjected, no one believed him. It was in fact difficult to believe that someone who “hid a Jewish child at the risk of his life” would commit such horrors. Because of the dangers, Mattie could not stay with his parents and left for Klimmen, where he lived until the end of the war with a normal family. After the war he remained in touch with his adopted parents. How do you explain the fact that this farmer hated you so much as to maltreat you? There is no logical or plausible explanation. However, I finally came to the following conclusion. In the area where we were, there was a very large number of Germans. As I was a child, I would have happily said that I had to leave my family because we were Jewish. In fact, one day I saw another little boy from Maastricht, Michel Shlayin, whose parents were friends of my parents and who was hidden in the area. I called out to him, and the next day he was moved. As for the farmer, it is possible he feared that if I was taken by the Germans, I would say who I was and where I was living. He always told me, “What I am doing to you is nothing to what the Germans will do to you if they catch you”. If this is not the right explanation, then I can only believe that he was a mental case. Yet in fact, after the war, what hurt you the most was that your parents did not believe you. How did you finally shake off this hurt? As you can readily understand, everything I said was based only on memories. Almost 60 years later, a friend in business, to whom I had told everything, suggested making a visit by car to where I had been hidden. Arriving there, I suddenly recognized the house. For me it was as though a nightmare was coming true, I was deeply shocked. The shock was not so much returning to the place, but because I had before my eyes the proof that what I had been saying all the time was true. It was not at all some childish invention. I could not get out of the car, I was petrified and I asked my friend to leave immediately. About two years later, my friend asked me if I wanted to go back to the area where I had been hidden. I said yes and that I was even ready to go into that farmhouse. In the meantime, it had been sold to an acquaintance of my friend who lived nearby and had bought it to pull it down. We went there, and since the house was to be destroyed it was empty. We asked the new owner for the keys, and he wanted to know why we wanted to go in there. When we explained the reason, he said that he knew that during the war there had been a Jewish child hidden on that farm who had been terribly maltreated. He told us that at the local café people had spoken about it at the time and he recommended that we should go there. He also told us that the owners had been awarded the medal of the Righteous Gentiles from Yad Vashem because they had hidden children during the war. In fact, because it was an enormous farm, they had sheltered 50 Jewish children in the attic as well as some British airmen who had parachuted in or had been shot down. How did your visit to the house go? I will not hide from you that I had to make an effort, but when I went in it was as though I had left the day before. I saw again the spot where he hung me and beat me, the ditch where he threw me into freezing water for just not quite long enough to drown; in a word I recognized and found again every nook and cranny. Did you go to the corner café, and if you did, what did you find out there? First of all, when I entered the café, I saw people quite a bit younger than me, who were in fact the children of the owners. But there was also a woman of 80, who should have been aged about 10 at the time of the war. I asked to speak to her, and when she came out of the kitchen I asked if she remembered a farmer called Opendrout who had hidden a Jewish child during the war. She replied, “ Drink your coffee and go, I do not want to talk about that”. Then I told her that I knew she had received the medal of the Righteous Gentiles from Yad Vashem for what she had done during the war. It was as though I had waved a magic wand. She asked me to sit down and started to talk. She clearly told me everything that had happened in their house, and at one point she said to me, “Everyone was talking about the Jewish child who was abused at the Opendrouts”. For me it was like a lightening bolt of truth that exploded in my face. Almost sixty years later, at long last, I had tangible proof that all this had not just been a bad dream. Unfortunately, from a certain point of view, it was too little, too late, since my two parents were no longer alive. From the time I left the farmer and until after the war, I changed places perhaps ten times until I arrived at a family in Klimmen. I was brought up as a little Christian, I sang in the church, and still today I know the liturgy by heart. But I always knew I was Jewish. Yet I believe that with time, had our parents not found us again, my sister and I would have grown up and lived as Christians. Trinette was hidden in a convent in Belgium. A few years ago, she went back there, and the nuns still living there recognized her, and as thanks for what they had done for her, Trinette gave them a trip to Israel. How did you find your parents again? It was thanks to the mother of the wife of André Rieu, the violinist. She was in the resistance and it was she who had arranged that we be hidden and who brought ration cards for my parents. She always knew where we were and after the liberation she immediately did everything to get our family reunited. I should add that at the end of the war, my father had no money and with the little he had, he went around to the people who had hidden us to repay them for our food, including the nuns who had hidden Trinette. He even went to my torturer, but he claimed such an exorbitant amount that my father left without giving him anything. What is interesting is that after this terrible experience, after having seen Christianity from the inside, you chose to remain Jewish. Did you ever think of abandoning Judaism, having suffered so much for being Jewish? Absolutely never. Quite the contrary and even more so since the birth of the State of Israel, of which I am so proud. When we met up again with our parents we of course went back to our Jewish lives. When we came back we were respectively 5 and 7 years old and we found that we had a little brother, Benny, born during the war and who had not been able to be circumcised. He was the first Jewish child circumcised in Holland after the end of the war, and by a doctor, an American general. You have succeeded remarkably well and in Holland today you are considered a major donor. But how has your life been? After my unhappy experience, I had a lot of problems following a normal school education. I was always troubled by this idea of not having been believed and by this doubt that I had to know whether everything was not just the fruit of my imagination after all the horror stories that I had heard after the war. I started working very young and despite having a lot of problems concentrating, I gradually succeeded in building a business that became highly successful. I felt I had a lot of luck and blessings. I believe that if in the end I have had the privilege of succeeding, it is because I help other people. One of the projects closest to my heart today is developing the Jewish hospital in Amstelveen, Ziekenhaus, and the Jewish psychiatric hospital, Sinai Centrum. Of course, I am very involved with Israel, because I know it is all we have and that the entire world is jealous about that. We could have stayed listening to Mayer – Mattie for hours. Physically, he has recovered from his traumatic experience, while the harm to his spirit as much from a sadistic farmer as because he was not believed, has certainly diminished but will probably never disappear. MARCUS KOSTER was born 11 November 1904 in Amsterdam, Holland, and died 22 September 1942 in Auschwitz concentration camp, Poland - Holocaust victim. He married REINA SPREEKMEESTER 20 June 1929 in Amsterdam, Holland, daughter of LEVIE SPREEKMEESTER and JUDIKJE DE GROOT. She was born 11 April 1907 in Amsterdam, Holland, and died 02 August 1942 in Auschwitz concentration camp, Poland - Holocaust victim. Resided with family February 1941: Hofmeyrstraat 43 II, Amsterdam, Holland. Belonging to: Marcus Koster and his family, Amsterdam. armchair (2), armchair, chair (4), table, floor covering, floor cloth, carpet, wall cupboard, Room: lace curtain (4), drape (4), hanging lamp, wardrobe, sofa, dressing table, mirror, wooden bed with bedding, bedside table, table, chair (2), alarm clock, loudspeaker, floor covering, floor cloth, runner. Room: lace curtain (2), drape, cot with bedding, chair (2), table (2), hanging lamp, armchair, floor covering, floor cloth. Room: lace curtain (2), drape, hanging lamp, bed with bedding, chest of drawers, floor covering, floor cloth, carpet, chair. Kitchen: lace curtain (2), table (2), chair (2), gas ring (2), cooking ware and house ware, coffee grinder, kitchen cupboard, floor covering, floor cloth, runner (2). Corridor: hanging lamp, brush hanger, floor covering, floor cloth, runner. 1. JUDA KOSTER, b. 26 September 1932, Amsterdam, Holland; d. 02 August 1942, Auschwitz concentration camp, Poland - Holocaust victim. 2. FEMMA KOSTER, b. 19 October 1935, Amsterdam, Holland; d. 02 August 1942, Auschwitz concentration camp, Poland - Holocaust victim. RACHEL REENS was born 30 December 1914 in Rotterdam, Holland, and died 23 April 1943 in Sobibor death camp, Poland - Holocaust victim. She married SAMUEL VAN DER STAM 20 November 1935 in Rotterdam, Holland, son of SALOMON STAM and HELENA DORMITS. He was born 01 March 1911 in Rotterdam, Holland, and died 23 April 1943 in Sobibor death camp, Poland - Holocaust victim. Parents of Samuel van der Stam were SALOMON VAN DER STAM born 27 August 1876 in Rotterdam, Holland, and died 15 October 1942 in Auschwitz concentration camp, Oswiecim Poland – Holocaust victim. He married HELENA DORMITS 10 February 1904 in Rotterdam, Holland. She was born 15 September 1877 in Den Bosch, 's-Hertogenbosch, Holland, and died 15 October 1942 in Auschwitz concentration camp, Oswiecim Poland – Holocaust victim. Resdied with wife: Schieweg 87, Rotterdam, Holland. Den Bosch, 's-Hertogenbosch, Holland. -World War II and after. One of the few official Nazi concentration camp complexes in western Europe located outside of Germany and Austria was named after 's-Hertogenbosch. It operated from January, 1943, to September, 1944 and was known to the Germans as Herzogenbusch . 30,000 inmates were interned in the complex during that time, of whom about 12,000 were Jews. In the Netherlands, this camp is known as 'Kamp Vught', because the concentration camp was actually located at a heath near Vught, a village a few kilometres south of 's-Hertogenbosch. In a tragic coincidence, the entire Jewish population of 's-Hertogenbosch was burnt alive on the same heath in the 13th century. Conquered by the Germans in World War II (1940), it was liberated in 24–27 October 1944 by the British 53rd (Welsh) Division. 1. HELENA VAN DER STAM, b. 02 April 1936, Rotterdam, Holland; d. 23 April 1943, Sobibor death camp, Poland - Holocaust victim. LOUIS HAMBURG, son of SALOMON HAMBURG and ROZETTA GROEN. was born 27 October 1877 in Amsterdam, Holland, and died 19 November 1943 in Auschwitz concentration camp, Oswiecim Poland – Holocaust victim. He married ROSA DE LEON 22 March 1900 in Amsterdam, Holland, daughter of JACOB DE LEON and RAATJE STODEL. She was born 09 July 1879 in Amsterdam, Holland, and died 19 November 1943 in Auschwitz concentration camp, Oswiecim Poland – Holocaust victim. How are you related to Louis Hamburg? Parents of Rosa de Leon were JACOB DE LEON born 26 September 1853 in Amsterdam, Holland, and died 04 June 1938 in Amsterdam, Holland and RAATJE STODEL. He married (1) RAATJE STODEL 30 August 1876 in Amsterdam, Holland. She was born 28 September 1848 in Amsterdam, Holland, and died 25 August 1909 in Amsterdam, Holland. He married (2) ALIDA LOCK 29 June 1910 in Amsterdam, Holland. She was born 26 June 1863 in Amsterdam, Holland, and died 25 April 1943 in Westerbork transit camp, Drenthe, Holland – Holocaust victim. Burial: 07 June 1938, Ouderkerk, Holland. Burial: 27 August 1909, Ouderkerk, Holland. Resided with family: Tilanusstraat 56 huis, Amsterdam, Holland. Louis Hamburg and Rosa de Leon married in 1900 in Amsterdam, Holland and had nine children. They lived on the same address as their daughter Rachel. A daughter Branca died young. 1. ROSETTE HAMBURG, b. 08 August 1901, Amsterdam, Holland; d. 20 October 1962, Amsterdam, Holland; m. VERDONER MOSES, 23 October 1935, Amsterdam, Holland; b. 01 July 1897, Amsterdam, Holland. Family lived at Van Street 84.H. Baert te Amsterdam, Holland. 2. RACHEL HAMBURG, b. 29 August 1902, Amsterdam, Holland; d. 06 November 1943, Sobibor death camp, Poland - Holocaust victim. 3. SOLOMON HAMBURG, b. 30 January 1904, Amsterdam, Holland; d. 07 August 1981, Amsterdam, Holland; m. LAJA WEINGARTEN, 13 February 1935, Amsterdam, Holland; b. 23 January 1910, Dorhoje, Czech Republic. Living in 1981 at Stadionweg 126 in Amsterdam, Holland. 4. CELINA HAMBURG, b. 12 January 1906, Amsterdam, Holland; d. 10 August 1994, Amsterdam, Holland. 5. BRANCA HAMBURG, b. 11 April 1908, Amsterdam, Holland; d. 22 October 1908, Amsterdam, Holland. 6. REBECCA HAMBURG, b. 10 June 1909, Amsterdam, Holland; d. 11 June 1943, Sobibor death camp, Poland - Holocaust victim. 7. JACOB HAMBURG, b. 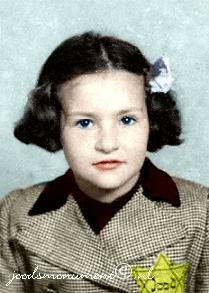 06 September 1911, Amsterdam, Holland; m. EVA WINNIK, 14 October 1936, Amsterdam, Holland; b. 18 June 1911, Amsterdam, Holland. In 1981 lived at Stadionstraat 9.II. te Amsterdam, Holland. 8. ANNA HAMBURG was born 04 April 1917 in Amsterdam, Holland, and died 21 September 1942 in Auschwitz concentration camp, Oswiecim Poland – Holocaust victim. She married SAMUEL KRIEKER 23 April 1941 in Amsterdam, Holland, son of DAVID KRIEKER and JETJE PARK. He was born 19 December 1917 in Amsterdam, Holland, and died 31 December 1942 in Auschwitz concentration camp, Oswiecim Poland – Holocaust victim. 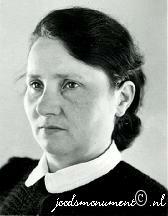 Anna Hamburg married Samuel Krieker on 23 April 1941. She then went to live with the family of her father-in-law. Parents of Samuel Krieker were DAVID KRIEKER born 07 May 1883 in Amsterdam, Holland, and died 12 October 1942 in Auschwitz III, aka Monowitz concentration camp, Oswiecim Poland – Holocaust victim. He married JETJE PARK. She was born 02 March 1879 in Amsterdam, Holland, and died 12 October 1942 in Auschwitz III, aka Monowitz concentration camp, Oswiecim Poland – Holocaust victim. Resided February 1941: Eerste Oosterparkstraat 42 II, Amsterdam, Holland. Resided: Oosterparkstraat 42, 2nd floor, Amsterdam, Holland. 9. BAREND HAMBURG, b. 09 May 1919, Amsterdam, Holland; d. 25 January 1943, Auschwitz concentration camp, Oswiecim Poland – Holocaust victim. RACHEL HAMBURG was born 29 August 1902 in Amsterdam, Holland, and died 06 November 1943 in Sobibor death camp, Poland - Holocaust victim. She married JACOB VLEESCHHOUWER 24 July 1929 in Amsterdam, Holland, son of DAVID VLEESCHHOUWER and GRIETJE REENS. He was born 10 December 1902 in Amsterdam, Holland, and died 06 November 1943 in Sobibor death camp, Poland - Holocaust victim. Resided with family February 1941: Tilanusstraat 56 huis, Amsterdam, Holland. Click documents to view full size. Parents of Jacob Vleeschhouwer were DAVID VLEESCHHOUWER born 08 April 1862 in Weesp, Holland, and died 05 May 1918 in Amsterdam, Holland. He married GRIETJE REENS 16 September 1897 in Amsterdam, Holland. She was born 11 July 1873 in Amsterdam, Holland, and died 27 November 1941 in Amsterdam, Holland. In December 1941, an obituary was placed in Het Joodsche Weekblad for Grietje Vleeschouwer-Reens. Grietje Vleeschouwer-Reens is buried at the Jewish cemetery at Diemen. 1. GRETA VLEESCHHOUWER, b. 02 September 1931, Amsterdam, Holland; d. 02 September 1931, Amsterdam, Holland. 2. ROSA VLEESCHHOUWER, b. 06 July 1932, Amsterdam, Holland; d. 11 June 1943, Sobibor death camp, Poland - Holocaust victim. Rosa Vleeschhouwer was deported to Sobibor in June 1943 from Vught via Westerbork on the so-called children's transport. She was 10 years old when she died. 3. GRETA VLEESCHHOUWER, b. 19 January 1934, Amsterdam, Holland; d. 11 June 1943, Sobibor death camp, Poland - Holocaust victim. 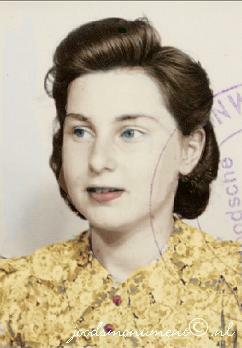 Greta Vleeschhouwer was deported to Sobibor in June 1943 from Vught via Westerbork on the so-called children's transport. She was 9 years old when she died. CELINA HAMBURG was born 12 January 1906 in Amsterdam, Holland, and died 10 August 1994 in Amsterdam, Holland. 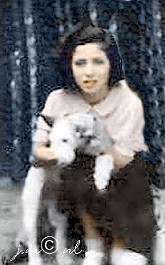 She married (1) WOLF LEEGER 13 January 1932 in Amsterdam, Holland, son of ELIAS LEEGER and REBECCA WURMS. He was born 18 July 1902 in Amsterdam, Holland, and died 03 March 1945 in Dachau concentration camp, Germany - Holocaust victim. She married (2) JOHAN WINNIK 02 May 1947 in Amsterdam, Holland, son of JACOB WINNIK and RACHEL SANTEN. He was born 06 August 1907 in Amsterdam, Holland. The Dachau massacre: occurred in the area of the Dachau concentration camp, near Dachau, Germany on April 29, 1945 during World War II. During the camp's liberation American soldiers from 45th Infantry Division of the U.S. Seventh Army allegedly wounded and killed German prisoners of war. The number of victims differs by account, some witnesses speculating that more than 100 German soldiers were killed; others report that 30–50 soldiers were killed during the camp's liberation, only a dozen of those being victims of alleged war crimes. The incident occurred after the US division entered the Dachau concentration camp. Soldiers reported seeing hundreds of naked and barely clothed dead bodies piled floor to ceiling in rooms adjacent to what was assumed to be the gas chambers. Before the soldiers entered the prison-camp 30 open top boxcars (or freight-cars) full of dead bodies in advanced stages of decomposition had been found outside the camp. More bodies were found about the camp, some had been dead for hours and days before the camp's liberation and lay where they had died. Parents of JOHAN WINNIK were JACOB WINNIK born 03 August 1878 in Amsterdam, Holland, and died 08 March 1931 in Amsterdam, Holland. He married RACHEL SANTEN 04 December 1898 in Amsterdam, Holland. She was born 09 January 1880 in Amsterdam, Holland, and died 09 April 1943 in Sobibor death camp, Poland - Holocaust victim. Resided, February 1941: Nieuwe Amstelstraat 18 II, Amsterdam, Holland. Parents of WOLF LEEGER were: ELIAS LEEGER born 29 April 1872 in Amsterdam, Holland, and died 09 April 1943 in Sobibor death camp, Poland - Holocaust victim. He married REBECCA WURMS. She was born 19 April 1875 in Amsterdam, Holland, and died 09 April 1943 in Sobibor death camp, Poland - Holocaust victim. Resided with wife, February 1941: Zwanenburgwal 6 I, Amsterdam, Holland. In 1981 Celine Hamburg lived at 167 Churchill house in Amsterdam, Holland as wife of Johan Winnik. With thanks and appreciation to Remko Weingarten (Jakarta, Indonesia) for his updates on this family. Resided with family February 1941: Eerste Oosterparkstraat 7 huis, Amsterdam, Holland. Wolf Leeger married Grietje Schaap in 1922. Grietje Schaap died in 1923 when their son Elias was born. Wolf Leeger married again in 1932 and had a child with his second wife, Celina Hamburg. She and the child survived the war. REBECCA HAMBURG was born 10 June 1909 in Amsterdam, Holland, and died 11 June 1943 in Sobibor death camp, Poland - Holocaust victim. She married ISRAEL PACH 24 May 1933 in Amsterdam, Holland. He was born 10 January 1908 in Amsterdam, Holland, and died 29 April 1945 in Dachau concentration camp, Germany - Holocaust victim. Resided with family February 1941: Eerste Oosterparkstraat 33 huis, Amsterdam, Holland. curtain (2), wall plate (2), lace curtain (3), laundry basket, bucket (2), iron, toys. Room: floor cloth, carpet, mat (2), chair (3), table with cloth, easy chair (2), table, sideboard, table lamp (2), wall hanging, hanging lamp, drinking set, smoking stand. Bedroom: floor cloth, bed throw (2), double bed with bedding, bed with bedding, mat, table with cloth, chair (3), linen cupboard, stove with plate, flower table, clock, mirror, lace curtain and drape (4), medicine cupboard, wall cupboard with linen etc. kitchen: floor cloth, runner, mat (2), table with cloth, iron, chair (2), child seat, gas ring, wall mirror, ceiling lamp, lace curtain, cupboard. Corridor: floor cloth, runner, foot mat (2), coat hooks, ceiling lamp, cupboard (2), Veranda: tub (3), ladder, meat safe. Parents of Israel Pach were MOZES PACH was born 25 January 1877 in Amsterdam, Holland, and died 23 April 1943 in Sobibor death camp, Poland - Holocaust victim. He married RACHEL ZWAAF 29 December 1897 in Amsterdam, Holland. She was born 16 January 1876 in Amsterdam, Holland, and died 23 April 1943 in Sobibor death camp, Poland - Holocaust victim. Resided with family, February 1941: Tweede Boerhaavestraat 11 III, Amsterdam, Holland. Mozes Pach and his family, Amsterdam. Room: ladies clothing, coat (2), raincoat, pair of shoes (3), socks, hat, apron, underwear, toiletries, ladies handbag. 1. RACHEL PACH, b. 18 April 1935, Amsterdam, Holland; d. 11 June 1943, Sobibor death camp, Poland - Holocaust victim. Rachel Pach was deported to Sobibor in June 1943 from Vught via Westerbork on the so-called children's transport. She was only 8 years old when she was murdered. SALOMON DE ZWARTE was born 04 December 1850 in Amsterdam, Holland, and died 16 August 1928 in Amsterdam, Holland. He married (1) SCHOONTJE REBBIE 11 February 1874 in Amsterdam, Holland. She was born 31 July 1847 in Amsterdam, Holland, and died 28 December 1881 in Amsterdam, Holland. He married (2) SAARTJE KLEERMAKER 23 April 1885 in Amsterdam, Holland. She was born 24 September 1851 in Amsterdam, Holland, and died 14 December 1919 in Dieman, Amsterdam, Holland. 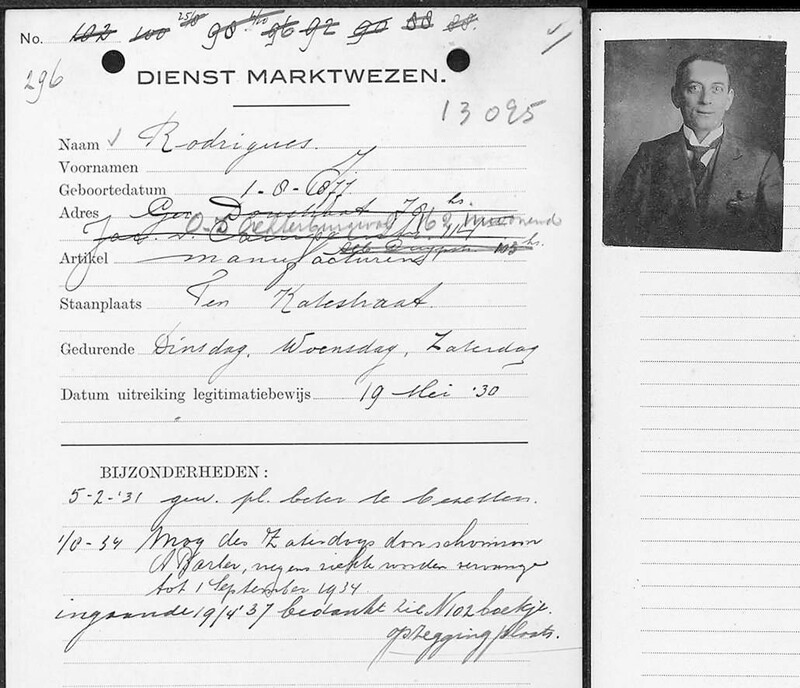 Burial: 19 August 1928, Jewish cemetery, Diemen, Amsterdam, Holland. Residence: Uilenburgerstraat 58, Amsterdam, Holland. 1. SIMON DE ZWARTE, b. 16 February 1877, Amsterdam, Holland; d. 30 April 1943, Sobibor death camp, Poland - Holocaust victim. 2. MEIJER DE ZWARTE, b. 30 March 1894, Amsterdam, Holland; d. 15 December 1942, Auschwitz concentration camp, Oswiecim Poland – Holocaust victim. SIMON DE ZWARTE was born 16 February 1877 in Amsterdam, Holland, and died 30 April 1943 in Sobibor death camp, Poland - Holocaust victim. He married MIETJE POLAK 29 December 1897 in Amsterdam, Holland. She was born 07 November 1876 in Amsterdam, Holland, and died 30 April 1943 in Sobibor death camp, Poland - Holocaust victim. Resided: Retiefstraat 26 a-huis, Amsterdam, Holland. 1. DAVID DE ZWARTE, b. 01 June 1907, Amsterdam, Holland; d. 09 July 1943, Sobibor death camp, Poland - Holocaust victim; m. (1) LENA VAN KREEVELD; b. 12 March 1913, Amsterdam, Holland; d. 15 December 1942, Auschwitz concentration camp, Poland - Holocaust victim; m. (2) HANNA VAN GELDER, 19 August 1942, Amsterdam, Holland; b. 29 July 1916, Amsterdam, Holland; d. 09 July 1943, Sobibor death camp, Poland - Holocaust victim. Divorced: 14 February 1936, David de Zwarte. Occupation: Leather worker, sales lady. 2. SALOMON DE ZWARTE, b. 15 September 1909, Amsterdam, Holland; d. 1995, Canada. 3. SCHOONTJE DE ZWARTE, b. 25 August 1913, Amsterdam, Holland; d. 03 September 1943, Auschwitz concentration camp, Oswiecim Poland – Holocaust victim. 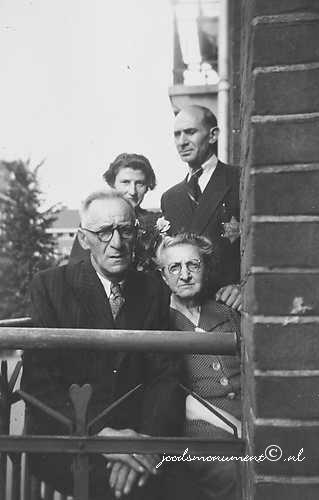 Members of the de Zwarte family pose on the balcony of their home, forcibly imposed to wear intimidating yellow Jewish stars. Pictured are Mietje, Simon and David de Zwarte and David's girlfriend. All were arrested in 1943 and perished in concentration camps. Simon de Zwart was a proud man. He took pride in his profession as a trader of goods and was a very family orientated husband and father. Although not orthodox, Simon de Zwart still followed the old Jewish family traditions, he and his wife, Mietje Polak were very much the focal point of their family. What thoughts would have been going through his mind when this photograph was taken? Perhaps a sense of incomprehension, a state of hopelessness, despair and concern as to what fate awaits his family. Many victims of this brutal German regime would have suffered the same experiences and traumas before their harrowing end, what was to be become known as: the final solution during World War 2 in occupied Europe. MEIJER DE ZWARTE was born 30 March 1894 in Amsterdam, Holland, and died 15 December 1942 in Auschwitz concentration camp, Oswiecim Poland – Holocaust victim. He married ESTHER JAS 03 February 1915 in Amsterdam, Holland, daughter of ABRAHAM JAS and JUDITH STODEL. She was born 05 October 1892 in Amsterdam, Holland, and died 15 December 1942 in Auschwitz concentration camp, Oswiecim Poland – Holocaust victim. Parents of Esther Jas were ABRAHAM JAS born 25 November 1854 in Amsterdam, Holland, and died 09 April 1943 in Sobibor death camp, Poland - Holocaust victim. He married JUDITH STODEL 25 January 1885 in Amsterdam, Holland, daughter of JACOB STODEL and SAARTJE GLASSLIJPER. She was born 05 February 1855 in Amsterdam, Holland, and died 30 January 1934 in Amsterdam, Holland. SALOMON DE ZWARTE was born 15 September 1909 in Amsterdam, Holland, and died 1995 in Canada. He married FRIDA COSTER 13 April 1932 in Amsterdam, Holland, daughter of CAREL COSTER and MARIA BLANKENBERG. She was born 09 August 1902 in Amsterdam, Holland, and died 25 June 1983 in Amsterdam, Holland. Occupation: Dish Washer, waiter, Steward KLM lines. 1. MIETJE (MIEP) DE ZWARTE, b. 17 February 1932, Amsterdam, Holland; m. ? KOENIG. 2. SIMON DE ZWARTE, b. 1935, Amsterdam, Holland. Miep de Zwarte (now Koenig-de Zwarte - 2012) is the daughter of Frieda Coster and Salomon de Zwarte. She was born in Amsterdam, Holland on February 17, 1932. Her younger brother Simon was born in 1935. Salomon de Zwarte came from a large close-knit liberal Jewish family and had six siblings. Though they were not religious, the entire extended family gathered at the home of Miep's grandparents, Mietje and Simon de Zwarte every Friday night. His wife Frieda, by contrast, was born to Christian German parents and had grown up in an orphanage in Amsterdam, Holland. Frieda Coster had one younger brother and every year she brought Miep and Simon with her to visit him at Christmas. The family lived in an apartment near the Jewish area of Amsterdam. Miep's father was employed in the Carlton Hotel, first as a silver polisher and later as a waiter, then shortly before the start of the war he worked as a steward for the Holland America Line. An active socialist, he was also a member of the Dutch Worker's Party. In May 1940, when Miep was eight years old, Germany invaded Holland. 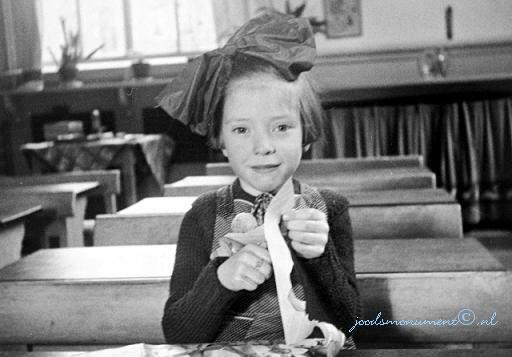 In August of 1941, Miep and the rest of the Jewish children in her class were expelled from school and sent instead to an all Jewish school. By 1942, Jews began to be deported in large numbers. 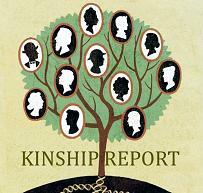 By the end of 1943, Miep's grandparents and all of her father's siblings had been rounded up (except for one aunt who survived in hiding). Most of the family were killed in either Sobibor or Auschwitz. After witnessing his siblings' deportations, Salomon de Zwarte hired a lawyer to investigate his wife Frieda's background and construct a family tree to prove her so-called Aryan descent. Throughout the war Miep helped her family obtain extra food without using ration coupons and gathered firewood from bombed out buildings. Miep also rolled cigarettes for her father from butts she found on the street. Miep's father sheltered Jewish people in the apartment for short periods of time until the resistance groups could provide forged identification papers for them. Eventually, German police came to the apartment and arrested him. Salomon spent close to a year in various Dutch camps. Miep, her mother and her brother were allowed to visit him at Zand in North Holland, but he also spent time at Schiphol (the Amsterdam airport), Vught, and Westerbork. Since Salomon was married to an Aryan on March 21, 1944, he was given the choice of either to be sent to a camp in Poland or to go back to Amsterdam, Holland to be sterilized. Salomon chose to return to Amsterdam, but he avoided sterilization by hiding in the basement of one of the hotels he had worked in before the war. After Amsterdam was finally liberated by the allies in May, 1945, Miep enrolled in the second year of a high school which emphasized the study of languages and literature. Her father obtained a job as a steward for K.L.M. the Dutch airline. Miep's parents eventually separated and in 1951, Miep's father told her that he was moving to Canada for five years. Miep decided to accompany him and went on to become a teacher. Information and material from the United States Holocaust Memorial Museum and Anthony Steel. Click photo to access the United States Holocaust Memorial Museum website. Parents of Louis Koster were JUDA KOSTER born 28 December 1885 in Amsterdam, Holland, and died 22 October 1944 in Auschwitz concentration camp, Oswiecim Poland – Holocaust victim. 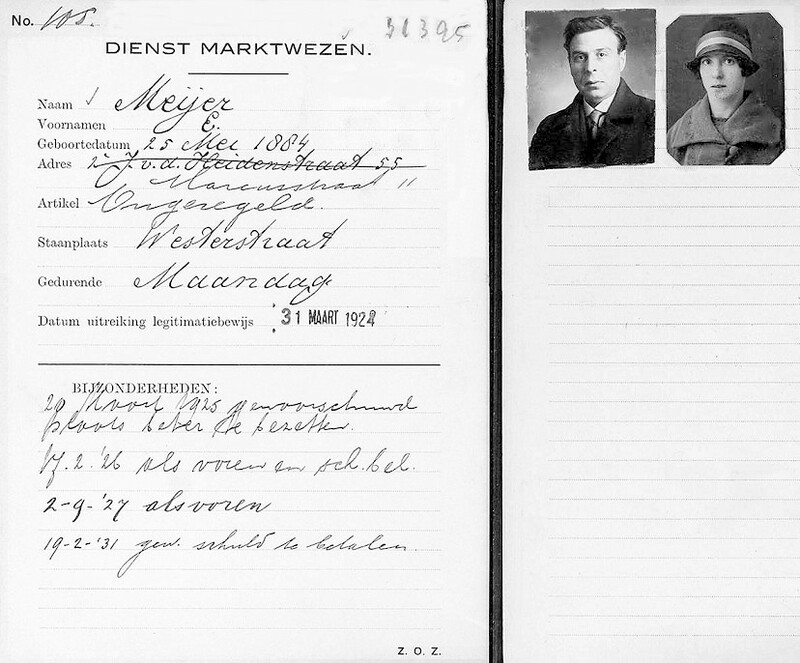 He married MIETJE ZILVERBERG 26 May 1908 in Emmen, Holland. She was born 09 January 1883 in Amsterdam, Holland, and died 07 December 1942 in Auschwitz concentration camp, Oswiecim Poland – Holocaust victim. Resided: Zandstraat 34 I, Amsterdam, Holland. Juda Koster was the son of Hermanus Koster and Beatrix Eva de Vries. ISAAC SOESAN was born 30 May 1813 in Amsterdam, Holland, and died 25 July 1849 in Amsterdam, Holland. He married HANNA VAN SCHOONE 12 January 1842 in Amsterdam, Holland, daughter of SAMUEL VAN SCHOONE and JUDIC DE ROOSE. She was born 1815 in Amsterdam, Holland. How are you related to Isaac Soesan? 1. SAMUEL SOESAN was born 14 June 1845 in Amsterdam, Holland, and died 24 October 1846 in Amsterdam, Holland. 2. GRACIA (MARGARETHA) SOESAN, b. 02 August 1843, Amsterdam, Holland; d. 05 January 1927, Amsterdam, Holland. 3. JOEL SOESAN, b. 28 June 1847, Amsterdam, Holland; d. 08 September 1927, Nijmegen, Holland. 4. MOZES SOESAN, b. 10 June 1849, Amsterdam, Holland; d. 10 December 1920, Amsterdam, Holland. GRACIA (MARGARETHA) SOESAN was born 02 August 1843 in Amsterdam, Holland, and died 05 January 1927 in Amsterdam, Holland. She married SALOMON RODRIGUES 27 October 1869 in Amsterdam, Holland, son of MOSES RODRIGUES and MARIANE PREEGER. He was born 10 June 1831 in Amsterdam, Holland, and died 25 March 1891 in Amsterdam, Holland. Burial: 07 January 1927, Ouderkerk, Holland. Burial: 27 March 1891, Ouderkerk, Holland. 1. SALOMON RODRIGUES, b. Amsterdam, Holland. 2. MOSES RODRIGUES, b. 14 May 1870, Amsterdam, Holland; d. 25 March 1931, Amsterdam, Holland. 3. HANNA RODRIGUES, b. 16 January 1872, Amsterdam, Holland; d. 22 August 1932, Amsterdam, Holland; m. JOSEPH RODRIGUES LOPES, 12 June 1919, Amsterdam, Holland; b. 27 May 1866, Amsterdam, Holland; d. 28 July 1933, Amsterdam, Holland. Burial: 24 August 1932, Ouderkerk, Holland. Burial: 30 July 1933, Ouderkerk, Holland. 4. ISAAC RODRIGUES, b. 18 September 1873, Amsterdam, Holland; d. 03 November 1874, Amsterdam, Holland. Burial: 05 November 1874, Ouderkerk, Holland. 5. ESTHER RODRIGUES, b. 01 April 1875, Amsterdam, Holland; d. 05 April 1875, Amsterdam, Holland. 6. JOEL RODRIGUES, b. 22 April 1876, Amsterdam, Holland; d. 07 December 1942, Auschwitz concentration camp, Oswiecim Poland – Holocaust victim. 7. JOSUA RODRIGUES, b. 01 August 1877, Amsterdam, Holland; d. 09 November 1942, Central Europe, Municipality unknown - Holocaust victim. 8. JACOB RODRIGUES, b. 1878, Amsterdam, Holland. 9. BATSEBAH RODRIGUES, b. 27 May 1879, Amsterdam, Holland; m. HARTOG VLEESDRAAGER, 19 January 1905, Amsterdam, Holland; b. 13 May 1880, Amsterdam, Holland. 10. JUDAH RODRIGUES, b. 24 January 1882, Amsterdam, Holland; d. 25 June 1884, Amsterdam, Holland. Burial: 27 June 1884, Ouderkerk, Holland. 11. ESTHER RODRIGUES, b. 30 October 1886, Amsterdam, Holland; d. 28 May 1943, Sobibor death camp, Poland - Holocaust victim. JOËL SOESAN was born 28 June 1847 in Amsterdam, Holland, and died 08 September 1927 in Nijmegen, Holland. He married ROOSJE MOT 16 August 1882 in Amsterdam, Holland, daughter of JACOB MOT and JUDIC DRIBBEL. She was born in Amsterdam, Holland. Occupation: Warehouse worker, street vendor. 1. ANNA SOESAN, b. 30 July 1883, Amsterdam, Holland; d. 27 November 1942, Auschwitz concentration camp, Poland - Holocaust victim. 2. JUDITH SOESAN, b. 22 June 1885, Amsterdam, Holland; d. 01 April 1887, Amsterdam, Holland. 3. MARGARETHA SOESAN, b. 15 July 1886, Amsterdam, Holland; d. 06 September 1944, Auschwitz concentration camp, Oswiecim Poland – Holocaust victim. MOZES SOESAN was born 10 June 1849 in Amsterdam, Holland, and died 10 December 1920 in Amsterdam, Holland. He married ANNA MARCHAND 23 August 1876 in Amsterdam, Holland, daughter of MOZES MARCHAND and VROUWTJE SLAGER. She was born in Kampen, Holland. Occupation: Tableware salesman, shop keeper, goldsmith. 1. HANNA SOESAN, b. 11 July 1877, Amsterdam, Holland; d. 07 May 1943, Sobibor death camp, Poland - Holocaust victim. 2. ISAAC SOESAN, b. 06 May 1879, Amsterdam, Holland; d. 04 June 1938, Apeldoorn , Holland. 3. VROUWTJE SOESAN, b. 09 March 1881, Amsterdam, Holland; d. 17 December 1941, Amsterdam, Holland. 4. JOËL SOESAN, b. 06 December 1882, Amsterdam, Holland; d. 23 August 1940, Amsterdam, Holland. SALOMON RODRIGUES was born in Amsterdam, Holland. He married HANNA VAZ DIAS 02 November 1899 in Amsterdam, Holland, daughter of ABRAHAM DIAS and RIBCA CARDOZO. She was born 26 October 1876 in Amsterdam, Holland, and died 06 July 1928 in Amsterdam, Holland. 1. MOSES RODRIGUES, b. 01 March 1900, Amsterdam, Holland. JOEL RODRIGUEZ was born 22 April 1876 in Amsterdam, Holland, and died 07 December 1942 in Auschwitz concentration camp, Oswiecim Poland – Holocaust victim. He married MARIANNE DE BOER 14 December 1910 in Amsterdam, Holland, daughter of ISAAC DE BOER and BENVENIDA QUERIDO. She was born 24 January 1890 in Amsterdam, Holland, and died 07 December 1942 in Auschwitz concentration camp, Oswiecim Poland – Holocaust victim. 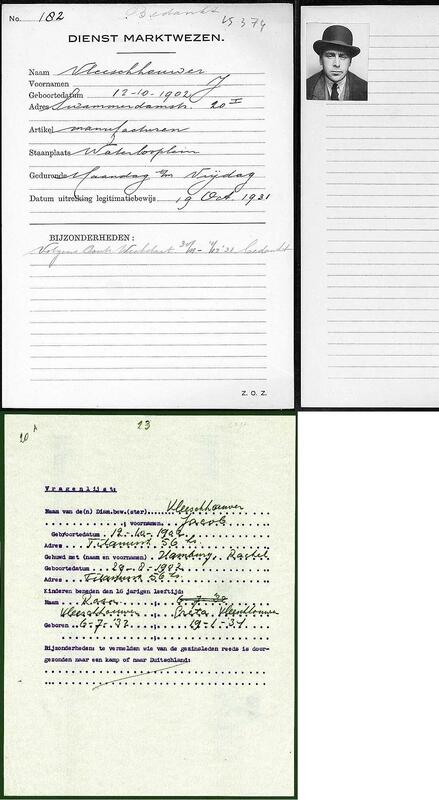 Resided with family, February 01, 1941: Hortusplantsoen 14 II, Amsterdam, Holland. 1. SALOMON RODRIGUEZ, b. 23 December 1912, Amsterdam, Holland; d. 15 March 1945, Midden-Europa - Holocaust victim. 2. ISAAC RODRIGUEZ, b. 08 July 1916, Amsterdam, Holland; d. 02 October 1941, Mauthausen-Gusen Concentration Camp, Mauthausen, Austria - Holocaust victim. JOSUA RODRIGUES was born 01 August 1877 in Amsterdam, Holland, and died 09 November 1942 in Central Europe, Municipality unknown - Holocaust victim. He married SARA KOSTER 1903 in Amsterdam, Holland. She was born 19 March 1882 in Amsterdam, Holland, and died 09 April 1943 in Sobibor death camp, Poland - Holocaust victim. Resided with family February 1941: Saenredamstraat 60 I, Amsterdam, Holland. Burial: Portuguese-Jewish Community cemetary, Ouderkerk aan de Amstel, Holland. 1. SALOMON RODRIGUES, b. 18 February 1904, Amsterdam, Holland. 2. MARCUS RODRIGUES, b. 28 February 1907, Amsterdam, Holland. 3. MARGARETHA RODRIGUES, b. 28 February 1907, Amsterdam, Holland; d. 20 October 1939, Amsterdam, Holland; m. MEIJER BARBER; b. 08 March 1901, Amsterdam, Holland; d. 26 May 1944, Auschwitz concentration camp, Oswiecim Poland – Holocaust victim. Burial: 22 October 1939, Diemen veld, Holland. ESTHER RODRIGUES was born 30 October 1886 in Amsterdam, Holland, and died 28 May 1943 in Sobibor death camp, Poland - Holocaust victim. She married NATHAN MAANDAG 05 September 1912 in Amsterdam, Holland, son of SALOMON MAANDAG and JUDITH DE HARTOG. He was born 01 August 1886 in Amsterdam, Holland. 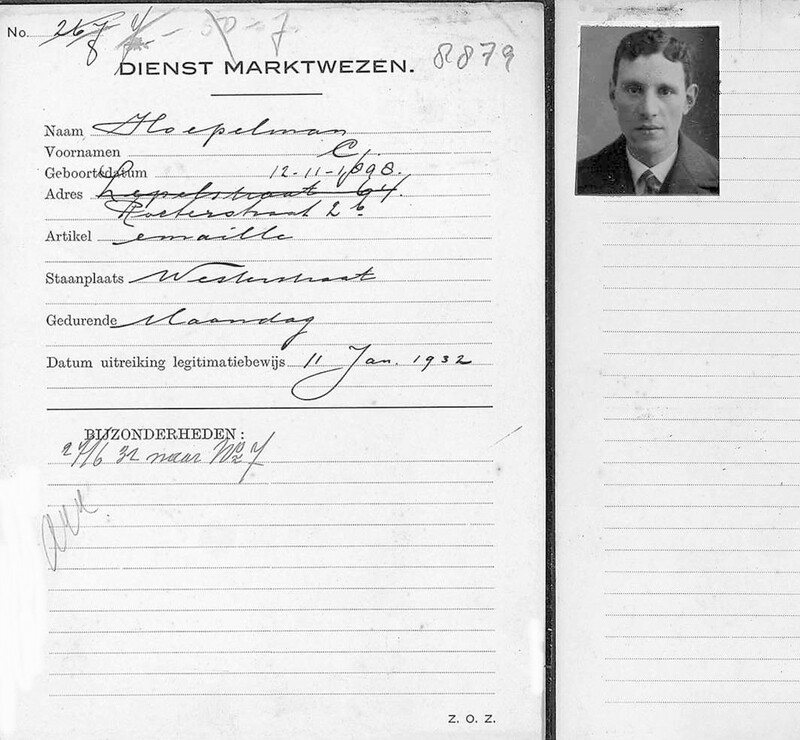 Nathan Maandag fled to Belgium and survived the war. 1. SALOMON MAANDAG, b. 07 April 1914, Amsterdam, Holland; d. 15 March 1945, Buchenwald concentration camp, Weimar, Germany. ANNA SOESAN was born 30 July 1883 in Amsterdam, Holland, and died 27 November 1942 in Auschwitz concentration camp, Poland - Holocaust victim. She married ISAAC GODLIEB 26 March 1908 in Amsterdam, Holland, son of ABRAHAM GODLIEB and NAATJE GOMPERS. He was born 12 December 1876 in Nijmegen, Holland, and died 27 November 1942 in Auschwitz concentration camp, Poland - Holocaust victim. Resided with family June 1941: Koolemans Beynenstraat 162, Nijmegen, Holland. Occupation: Supervisor of export butchery. 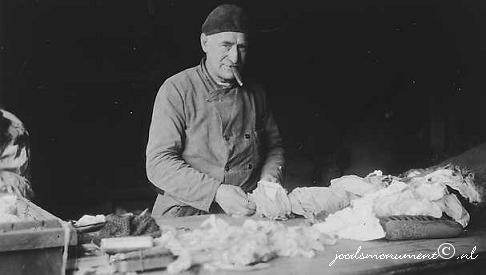 Isaac Godlieb settled in Nijmegen in 1916. He came from Oss, Holland. 1. ANNETTE GODLIEB, b. 20 June 1909, Amsterdam, Holland; d. 27 November 1942, Auschwitz concentration camp, Poland - Holocaust victim. MARGARETHA SOESAN was born 15 July 1886 in Amsterdam, Holland, and died 06 September 1944 in Auschwitz concentration camp, Oswiecim Poland – Holocaust victim. She married HARTOG VAN PRAAG 01 August 1917 in Amsterdam, Holland, son of ARON VAN PRAAG and HELENA DE JONGH. He was born 09 April 1887 in Amsterdam, Holland, and died 07 October 1943 in Auschwitz concentration camp, Oswiecim Poland – Holocaust victim. Resided with family February 1941: Reggestraat 5 huis, Amsterdam, Holland. 1. 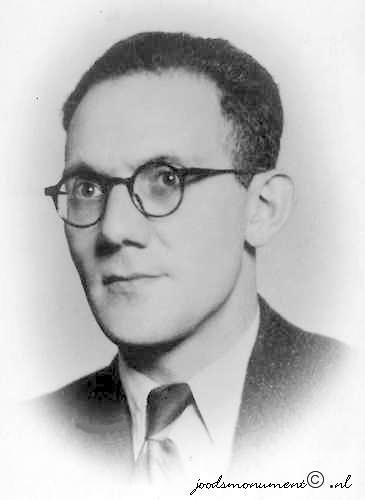 JOËL VAN PRAAG, b. 12 November 1919, Amsterdam, Holland; d. 13 January 1943, Auschwitz concentration camp, Oswiecim Poland – Holocaust victim. 2. ARNOLD VAN PRAAG, b. 12 November 1919, Amsterdam, Holland; d. 30 April 1945, Bergen-Belsen concentration camp, Germany. In 2005 a mass grave from WW II was found at Stuttgart airport, Germany. Arnold van Praag is possibly among the thirteen Dutch Jews buried there. He was one of the Jewish prisoners at Kommando Echterdingen near to concentration camp Natzweiler, who was set to work on the airport of Stuttgart late 1944. The remains have been properly reburied. HANNA SOESAN born 11 July 1877 in Amsterdam, Holland, and died 07 May 1943 in Sobibor death camp, Poland - Holocaust victim. She married EMANUEL AARONS 12 June 1901 in Amsterdam, Holland, son of COENRAAD AARONS and MARIANNE BLITZ. He was born 21 December 1875 in Amsterdam, Holland, and died 07 May 1943 in Sobibor death camp, Poland - Holocaust victim. Resided February 21: Tweede Jan Steenstraat 71 huis, Amsterdam, Holland. 1. COENRAAD AARONS, b. 06 May 1902, Amsterdam, Holland; d. 21 July 1942, Auschwitz concentration camp, Oswiecim Poland – Holocaust victim. ISAAC SOESAN was born 06 May 1879 in Amsterdam, Holland, and died 04 June 1938 in Apeldoorn , Holland. He married JELTJE VAN ADELSBERGEN 19 December 1901 in Amsterdam, Holland, daughter of HARTOG VAN ADELSBERGEN and MARIANNE SANDERS. She was born 08 June 1878 in Groningen, Holland, and died 26 August 1942 in Auschwitz concentration camp, Oswiecim Poland – Holocaust victim. Resided: Deventerschestraat 48, Den Haag, Holland. The Jokos file reveals that a claim was lodged for compensation for looted securities or bonds. (W-claim, number C23C89/1977). The Jokos Foundation was a partnership arrangement of various Jewish organizations: Stichting Joods Maatschappelijk Werk, Nederlands-Israëlitisch Kerkgenootschap, Portuguese-Jewish Community, Liberaal Joodse Gemeente, Stichting Schadeloosstelling Joodse Oorlogsslachtoffers in Holland. 1. MOZES SOESAN, b. 27 April 1903, Amsterdam, Holland; d. 07 May 1943, Sobibor death camp, Poland - Holocaust victim; m. ADELA VAN ADELSBERGEN, 28 March 1935, Amsterdam, Holland; b. 15 February 1908, Amsterdam, Holland; d. 07 May 1943, Sobibor death camp, Poland - Holocaust victim. Resisied with wife February 1941: Willem de Zwijgerlaan 47 huis, Amsterdam, Holland. According to a list with shops of Jewish owners compiled by the Amsterdam police in 1940, this family had a household supplies shop, address: Willem de Zwijgerlaan 47 in Amsterdam, Holland. JOËL SOESAN was born 06 December 1882 in Amsterdam, Holland, and died 23 August 1940 in Amsterdam, Holland. He married HENDRIKA VAN DAM 09 September 1908 in Amsterdam, Holland, daughter of GOMPRECHT VAN DAM and FLORA KUKENHEIM. She was born 08 December 1882 in Amsterdam, Holland, and died 05 October 1942 in Auschwitz concentration camp, Oswiecim Poland – Holocaust victim. Resided with family: Kloveniersburgwal 91 boven, Amsterdam, Holland. Occupation: Storehouse servant, travelling salesman, hotel servant. The Jokos file reveals that a claim was lodged for compensation for valuables surrendered to the Lippmann-Rosenthal looting bank (L-claim, number 11156/5044). 1. FLORA SOESAN, b. 06 March 1923, Amsterdam, Holland; d. 05 October 1942, Auschwitz concentration camp, Oswiecim Poland – Holocaust victim. 2. ANNA SOESAN, b. 30 June 1909, Amsterdam, Holland; d. 02 July 1943, Sobibor death camp, Poland - Holocaust victim; m. HEIMAN ADOLF MANASSEN; b. 02 October 1901, Alphen aan de Rijn, Holland; d. 02 July 1943, Sobibor death camp, Poland - Holocaust victim. COENRAAD AARONS was born 06 May 1902 in Amsterdam, Holland, and died 21 July 1942 in Auschwitz concentration camp, Oswiecim Poland – Holocaust victim. He married RACHEL TYRAS 11 August 1937 in Amsterdam, Holland, daughter of NAPHTALE TYRAS and GITTEL FEDER. She was born 25 September 1903 in Pierzchoviec, Poland, and died 21 July 1942 in Auschwitz concentration camp, Oswiecim Poland – Holocaust victim. Resided with family February 1941: Tweede Jan Steenstraat 71 II, Amsterdam, Holland. 1. 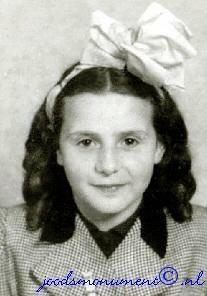 HANNA AÄRONS, d. 21 July 1942, Auschwitz concentration camp, Oswiecim Poland – Holocaust victim. ABIGAIL DELMONTE was born 06 March 1847 in Amsterdam, Holland, and died 23 June 1913 in Amsterdam, Holland. She married (1) HIJMAN MELLO 17 June 1868 in Amsterdam, Holland, son of DAVID MELLO and RACHEL VAN GELDEREN. He was born 19 November 1848 in Sneek, Holland, and died 17 February 1871 in Amsterdam, Holland. She married (2) ELIAS ZIEKENOPPASSER 14 April 1872 in Uithoorn, Holland, son of RAPHAEL ZIEKENOPPASSER and HESTER HEIJMANS. He was born 21 August 1843 in Mijdrecht, De Ronde Venen, Utrecht, Holland, and died 12 July 1893 in Amsterdam, Holland. She married (3) SIMON AUGURKIE 15 August 1895 in Enkhuizen, Holland, son of BAREND AUGURKIE and SAARTJE GOMPERS. He was born 09 July 1841 in Amsterdam, Holland, and died 18 April 1899 in Amsterdam, Holland. How are you related to Abigail Delmonte? Burial: 13 July 1893, Muiderberg cemetery, Amsterdam, Holland. 1. DAVID MELLO, b. 12 July 1868, Amsterdam, Holland; d. 25 July 1870, Amsterdam, Holland. 2. NAATJE MELLO, b. 23 June 1870, Amsterdam, Holland; d. 10 March 1948. 1. ESTHER ZIEKENOPPASSER, b. 17 October 1872, Uithoorn, Holland; d. 19 November 1934, Antwerp, Belgium. 2. RAPHAEL ZIEKENOPPASSER, b. 06 July 1874, Uithoorn, Holland; d. 06 March 1944, Auschwitz concentration camp, Oswiecim Poland – Holocaust victim. 3. ROZETTA ZIEKENOPPASSER, b. 04 November 1875, Uithoorn, Holland; d. 23 April 1943, Auschwitz concentration camp, Oswiecim Poland – Holocaust victim. 4. JUDA ZIEKENOPPASSER, b. 12 August 1877, Uithoorn, Holland; d. USA. 5. JACOB ZIEKENOPPASSER, b. 18 October 1878, Amsterdam, Holland. 6. KAATJE ZIEKENOPPASSER, b. 30 May 1880, Amsterdam, Holland; d. 22 June 1894, Amsterdam, Holland. 7. JOEL ZIEKENOPPASSER, b. 12 October 1881, Amsterdam, Holland; d. 28 August 1900, Amsterdam, Holland. Burial: 29 August 1900, Muiderberg cemetery, Amsterdam, Holland. 8. ARON ZIEKENOPPASSER, b. 24 April 1883, Amsterdam, Holland; d. 22 July 1884, Amsterdam, Holland. 9. RACHEL ZIEKENOPPASSER, b. 15 October 1884, Amsterdam, Holland; d. 20 March 1943, Sobibor death camp, Poland - Holocaust victim. 10. CLARA ZIEKENOPPASSER was born 05 May 1888 in Amsterdam, Holland, and died 1932 in New York City, USA. 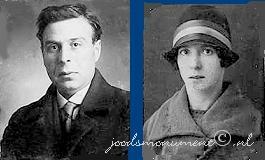 She married (1) JOEL VAN GELDER 03 July 1913 in Amsterdam, Holland, son of TOBIAS VAN GELDER and REBECCA VAZ. He was born 26 January 1888 in Amsterdam, Holland, and died 16 July 1943 in Sobibor death camp, Poland - Holocaust victim. She married (2) JACOBUS JOANNES DE SONNAVILLE 1916, son of JOHANNES DE SONNAVILLE and JOSEPHINE SORMANI. He was born 23 June 1870 in Alkmaar, Holland, and died 11 April 1924 in New York City, USA. Occupation: Insurance agent, real estate agent. 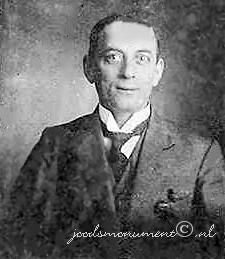 Divorced: 02 April 1920, Joel van Gelder in Amsterdam, Holland. NAATJE MELLO was born 23 June 1870 in Amsterdam, Holland, and died 10 March 1948. She married DAVID SPRINGER 11 July 1888 in Amsterdam, Holland, son of SIMON SPRINGER and MATJE WALG. He was born 14 April 1870 in Amsterdam, Holland, and died 03 April 1964 in Boston, Suffolk County, Massachusetts, USA. 1. MATHILDA SPRINGER, b. 07 September 1888, Amsterdam, Holland. 2. ELIAS SPRINGER, b. 23 September 1889, Amsterdam, Holland. 3. ABIGAEL SPRINGER, b. 29 December 1890, Amsterdam, Holland. 4. SIMON SPRINGER, b. 11 July 1894, Amsterdam, Holland. ESTHER ZIEKENOPPASSER was born 17 October 1872 in Uithoorn, Holland, and died 19 November 1934 in Antwerp, Belgium. She married MACHIEL VAN DER MOLEN 29 June 1892 in Amsterdam, Holland, son of GERRIT MOLEN and ROOSJE IJZERKOPER. He was born 15 October 1869 in Amsterdam, Holland, and died 28 May 1943 in Sobibor death camp, Poland - Holocaust victim. Resided April 1942: Harstenhoekweg 40, Scheveningen, Holland. 1. GERRIT VAN DER MOLEN, b. 12 October 1892, Amsterdam, Holland. 2. ELIAS VAN DER MOLEN, b. 12 November 1893, Amsterdam, Holland; d. 13 March 1943, Sobibor death camp, Poland - Holocaust victim. 3. DAVID VAN DER MOLEN, b. 09 August 1896, Amsterdam, Holland; d. 19 February 1945, Amsterdam, Holland; m. MARIA VAN PRAAG; b. Antwerp, Belgium. 4. ROSA VAN DER MOLEN, b. 22 December 1900, Amsterdam, Holland; m. JOSEPH DE MIRANDA, 21 November 1918, Amsterdam, Holland; b. 06 May 1897, Amsterdam, Holland. RAPHAEL ZIEKENOPPASSER was born 06 July 1874 in Uithoorn, Holland, and died 06 March 1944 in Auschwitz concentration camp, Oswiecim Poland – Holocaust victim. He married (1) LOUISE MARIA JOHANNA BELDER 26 March 1896 in Amsterdam, Holland, daughter of HENDRIK BELDER and MARIA ELSING. She was born 17 April 1875 in Amsterdam, Holland, and died 02 January 1906 in Bussum, Holland. He married (2) SIENTJE MULDER 28 June 1906 in Bussum, Holland. She was born 06 December 1885 in Amsterdam, Holland, and died 29 April 1946 in Zandvoort, Holland. 1. ELIE ZIEKENOPPASSER, b. 23 August 1896, Amsterdam, Holland; d. Amsterdam, Holland. 2. HENRI JOHAN ZIEKENOPPASSER, b. 11 September 1897, Amsterdam, Holland; d. 04 September 1898, Amsterdam, Holland. 3. JOEL ZIEKENOPPASSER, b. 22 February 1900, Amsterdam, Holland; d. 14 May 1904, Amsterdam, Holland. 4. LOUISA MARIA ZIEKENOPPASSER, b. 18 March 1901, Amsterdam, Holland; m. LEVIE POLAK; b. 1897. 1. JUDA ZIEKENOPPASSER, b. 1907, Bussum, Holland; d. Amsterdam, Holland. ROZETTA ZIEKENOPPASSER was born 04 November 1875 in Uithoorn, Holland, and died 23 April 1943 in Auschwitz concentration camp, Oswiecim Poland – Holocaust victim. She married JONAS PINAS WITTEBOON 10 January 1894 in Antwerp, Belgium, son of PINAS WITTEBOON and RACHEL VOORZANGER. He was born 05 August 1872 in Amsterdam, Holland, and died 24 December 1942 in Antwerp, Belgium - Holocaust victim. Het Joodsche Weekblad, 15 January 1943. 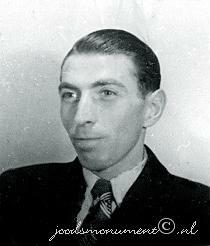 Rozetta Ziekenoppasser was deported from Mechelen on 19 April 1943 with convoy number 20. The convoy was raided by the Belgian resistance and some Jews managed to escape. Sadly Rozetta was not one of the escapees. 1. RACHEL WITTEBOON, b. 17 January 1895, Amsterdam, Holland; d. 08 January 1992, Antwerp, Belgium. 2. ELIZABETH WITTEBOON, b. 26 August 1897, Amsterdam, Holland; d. 31 December 1944, Auschwitz concentration camp, Oswiecim Poland – Holocaust victim. 3. SARAH WITTEBOON, b. 01 September 1900, Amsterdam, Holland; d. 12 October 1942, Auschwitz concentration camp, Oswiecim Poland – Holocaust victim. JUDA ZIEKENOPPASSER was born 12 August 1877 in Uithoorn, Holland, and died in USA. He married JANE ?. She was born in Holland, and died in USA. 1. ELISABETH ZIEKENOPPASSER, b. New York, USA; d. Los Angeles, USA. 2. JUDA ZIEKENOPPASSER, b. New York, USA. 3. JACOB (JACK) ZIEKENOPPASSER, d. New York, USA. 4. ELIAS ZIEKENOPPASSER, b. New York, USA. RACHEL ZIEKENOPPASSER was born 15 October 1884 in Amsterdam, Holland, and died 20 March 1943 in Sobibor death camp, Poland - Holocaust victim. She married EMANUEL MEIJER 25 January 1905 in Amsterdam, Holland, son of IZAAK MEIJER and ROOSJE SWART. 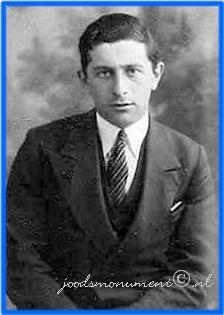 He was born 25 May 1884 in Amsterdam, Holland, and died 20 March 1943 in Sobibor death camp, Poland - Holocaust victim. Resided with family February 1941: Marcusstraat 11 II, Amsterdam, Holland. Click photos to view full document. 1. JOËL MEIJER, b. 29 May 1925, Amsterdam, Holland; d. 20 March 1943, Sobibor death camp, Poland - Holocaust victim. ELIAS VAN DER MOLEN was born 12 November 1893 in Amsterdam, Holland, and died 13 March 1943 in Sobibor death camp, Poland - Holocaust victim. He married ROOSJE ZWART 22 March 1917 in Watergraafsmeer, Holland, daughter of SALOMON ZWART and JUDITH DE KROMME. She was born 27 September 1894 in Amsterdam, Holland, and died 13 March 1943 in Sobibor death camp, Poland - Holocaust victim. Resided with family April 1942: Harstenhoekweg 42, Scheveningen, Holland. Elias van der Molen had two more children. One child fled to England and survived the war. The other child, Hester van der Molen was married to Leo Kaufman. Hester van der Molen gave birth to her son Bernard in camp Westerbork. 1. HESTER VAN DER MOLEN, b. 07 November 1918, Amsterdam, Holland; d. 09 April 1943, Sobibor death camp, Poland - Holocaust victim. 2. JULIETTE VAN DER MOLEN, b. 01 December 1922, Antwerp, Belgium; d. 13 March 1943, Sobibor death camp, Poland - Holocaust victim. Parents of Roosje Zwart were SALOMON ZWART born 30 September 1862 in London, England, and died 22 October 1944 in Bergen-Belsen concentration camp, Germany - Holocaust victim. He married JUDITH DE KROMME 08 June 1887 in Weesp, Holland. She was born 31 March 1869 in Amsterdam, Holland, and died 01 April 1929 in Karlsbad, Czech Republic. Resided with family: Tolstraat 105 I, Amsterdam, Holland. Occupation: Diamond merchant, diamond worker. Salomon Zwart was the son of Ezechiel Joseph Zwart and Hanna (Naatje) Schuit. Salomon was widower of Judith Salomon de Kromme. On 1 August 1929, Judith Salomon de Kromme died in Karlsbad, Tchechoslowakia. The couple had a son, Joseph and a daughter, Roosje. They also had four children who survived the war. Salomon Zwart was multiple fencing champion of the Netherlands. HESTER VAN DER MOLEN was born 07 November 1918 in Amsterdam, Holland, and died 09 April 1943 in Sobibor death camp, Poland - Holocaust victim. She married LAZARUS KAUFMAN, son of BERNARD KAUFMAN and JETJE NATHANS. He was born 07 November 1910 in Arnhem, Holland, and died 09 April 1943 in Sobibor death camp, Poland - Holocaust victim. Resided: Rembrandtlaan 31, Arnhem, Holland. The Arnhem police commissioner requested that Lazarus Kaufman and his wife Hester van der Molen, both residing in Arnhem, be located, detained and brought to trial. They were suspected of having changed their place of residence without obtaining the required authorization. This description often referred to Jews who had gone into hiding. 1. BERNARD KAUFMAN, b. 03 November 1942, The Hague, Holland; d. 09 April 1943, Sobibor death camp, Poland - Holocaust victim. ELIE ZIEKENOPPASSER was born 23 August 1896 in Amsterdam, Holland, and died in Amsterdam, Holland. He married (1) MARIA ROUW in Amsterdam, Holland, daughter of MARTINUS ROUW and JANNEKE ELVE. She was born 20 November 1902 in Terneuzen, Holland, and died in Amsterdam, Holland. He married (2) MARIA PETRONELLA TRIP 16 April 1919 in Amsterdam, Holland, daughter of JOHANNES TRIP and ELISABETH MAAS. She was born 28 April 1899 in Amsterdam, Holland, and died in Amsterdam, Holland. 1. RAPHAEL ZIEKENOPPASSER, b. Amsterdam, Holland; d. Eemnes, Holland. JUDA ZIEKENOPPASSER was born 1907 in Bussum, Holland, and died in Amsterdam, Holland. He married JOHANNA SNIJER in Amsterdam, Holland, daughter of JACOB SNIJER and JOHANNA MECKLENFELD. She was born in Nunspeet, Holland. 1. YVONNE ZIEKENOPPASSER, b. Amsterdam, Holland; m. WILLEM KEES GNIRREP. 2. KARINA ZIEKENOPPASSER, b. Amsterdam, Holland. RACHEL WITTEBOON was born 17 January 1895 in Amsterdam, Holland, and died 08 January 1992 in Antwerp, Belgium. She married (1) OTTO BECKER. 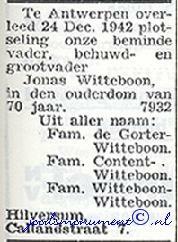 She married (2) JONAS WITTEBOON 04 November 1915 in Amsterdam, Holland, son of SOLOMON WITTEBOON and JOHANNA WAAKER. He was born 03 January 1892 in Amsterdam, Holland, and died 20 January 1949 in Utrecht, Holland. 1. JOHANNA WITTEBOON, b. 26 September 1916, Amsterdam, Holland; d. 08 June 1998, Hallandale, Florida, USA; m. TOBIAS (THEODORE) ZEELANDER, 08 March 1937, Antwerp, Belgium; b. 27 April 1910, Amsterdam, Holland; d. 29 October 2004, Boca Raton, Florida, USA. 2. JULES WITTEBOON, b. 20 June 1918, Amsterdam, Holland; d. 25 April 2002, Antwerp, Belgium; m. REISLA PREMILAT. ELIZABETH WITTEBOON was born 26 August 1897 in Amsterdam, Holland, and died 31 December 1944 in Auschwitz concentration camp, Oswiecim Poland – Holocaust victim. She married SAMUEL DE GORTER 19 February 1919 in Amsterdam, Holland, son of ISAAC DE GORTER and ENGELTJE SONS. He was born 27 September 1894 in Amsterdam, Holland, and died 09 July 1943 in Sobibor death camp, Poland - Holocaust victim. 1. ISAAC DE GORTER, b. 23 July 1920, Amsterdam, Holland; d. 09 July 1943, Sobibor death camp, Poland - Holocaust victim. 2. ROSETTE DE GORTER, b. 10 October 1923, Amsterdam, Holland; d. 09 July 1943, Sobibor death camp, Poland - Holocaust victim. SARAH WITTEBOON was born 01 September 1900 in Amsterdam, Holland, and died 12 October 1942 in Auschwitz concentration camp, Oswiecim Poland – Holocaust victim. She married JONAS CONTENT 17 August 1922 in Amsterdam, Holland, son of LEON CONTENT and CHARLOTTE DUITZ. He was born 06 January 1892 in Amsterdam, Holland, and died 31 January 1943 in Auschwitz concentration camp, Oswiecim Poland – Holocaust victim. Resided with family August 1942: Jan van Galenstraat 25, Haarlem, Holland. 1. CHARLOTTE CONTENT, b. 13 November 1923, Amsterdam, Holland; d. 12 October 1942, Auschwitz concentration camp, Oswiecim Poland – Holocaust victim. Charlotte Content appears on a handwritten list of all persons who held offices in the Dutch-Jewish community of Haarlem during the early years of the war. 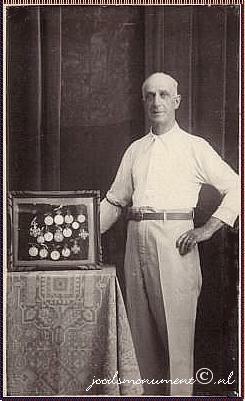 Photographs remain of each official. Charlotte Content was an orderly at the Dutch-Jewish Joles Hospital. She was unmarried and lived at 25 Jan van Galenstraat in Haarlem. Charlotte was 18 years old when she was murdered. Algemeen Politieblad, nr 37, 17 September 1942, 1047, notice 1966.